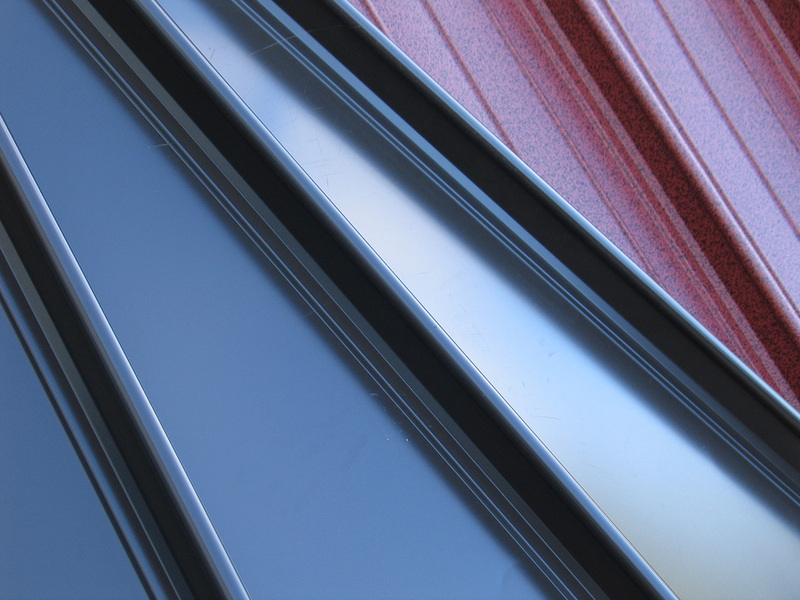 Samesor offers manufacturing applications for a great number of metal roofing product designs and types covering both roof tile panels and trapezoidal roofing profiles. 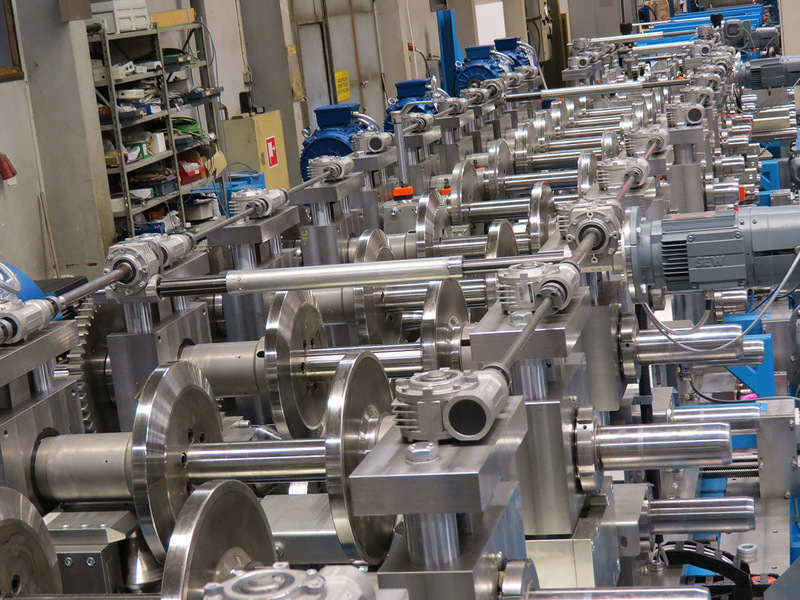 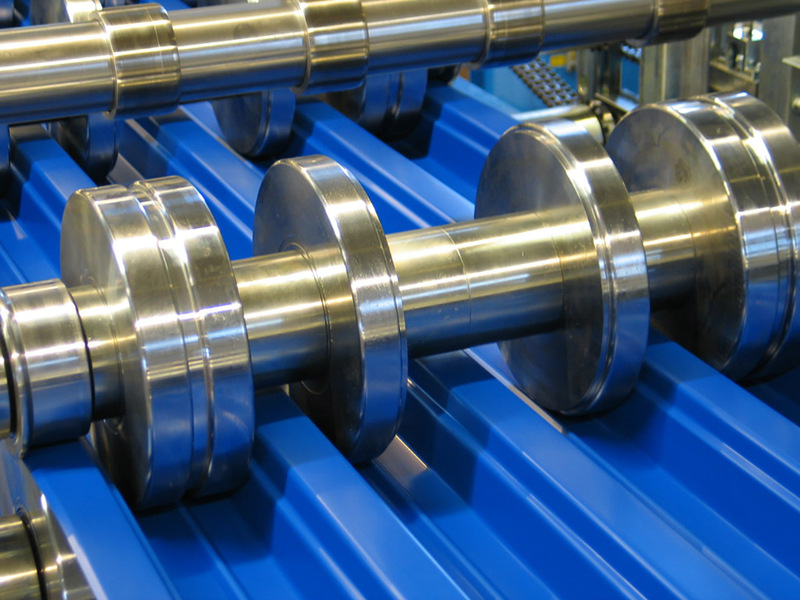 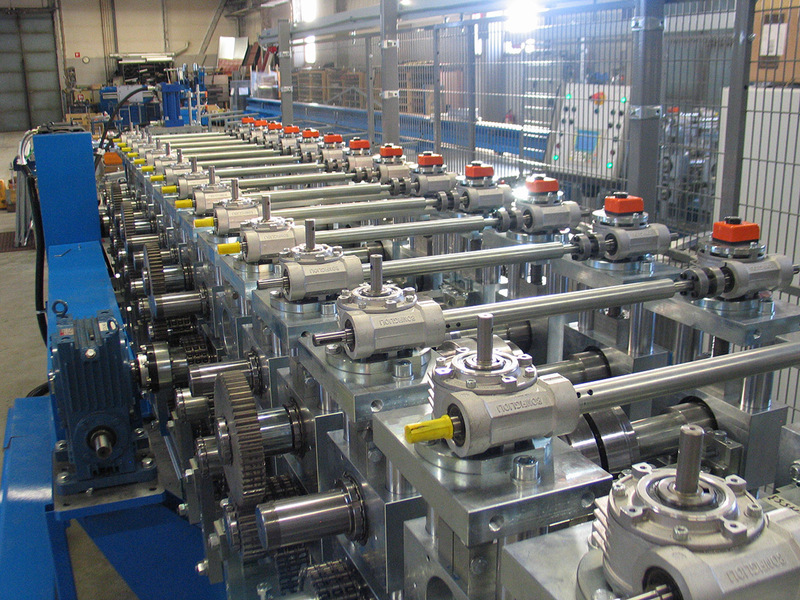 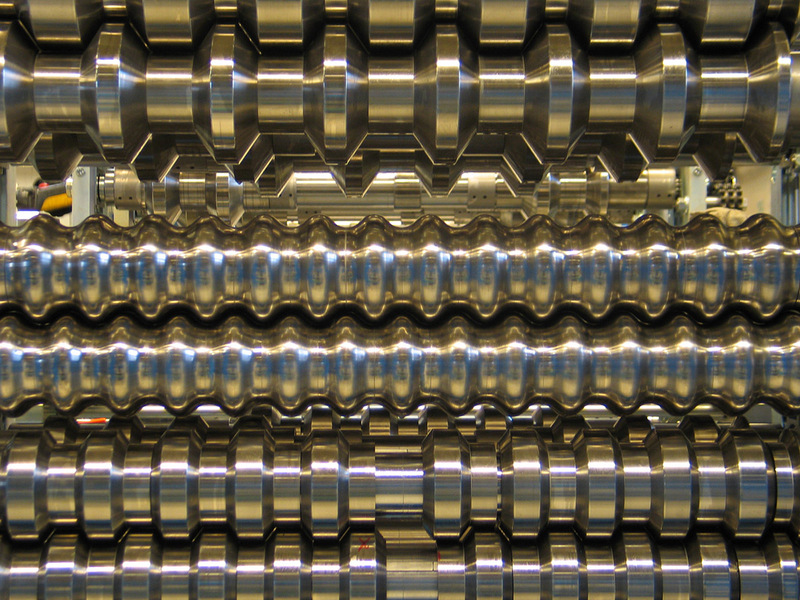 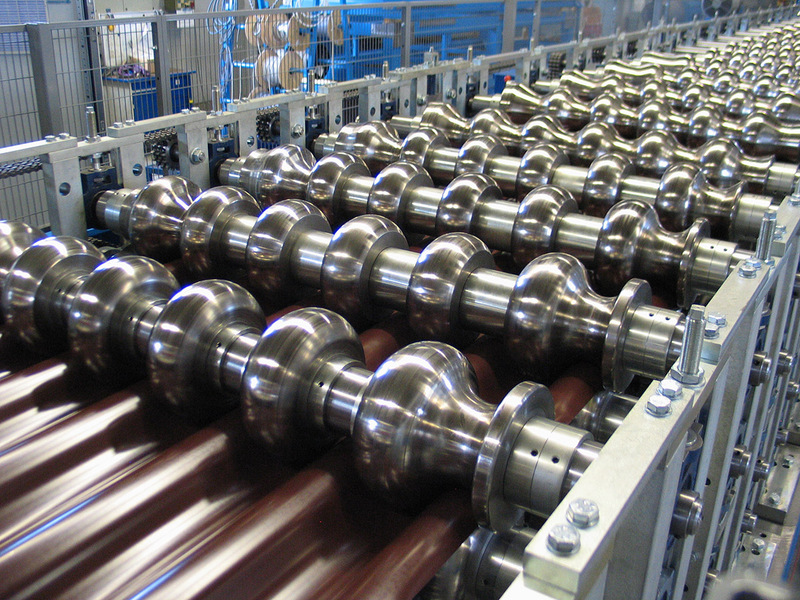 These are made by Samesor production lines, well-known for their reliability, efficiency and innovative technologies. 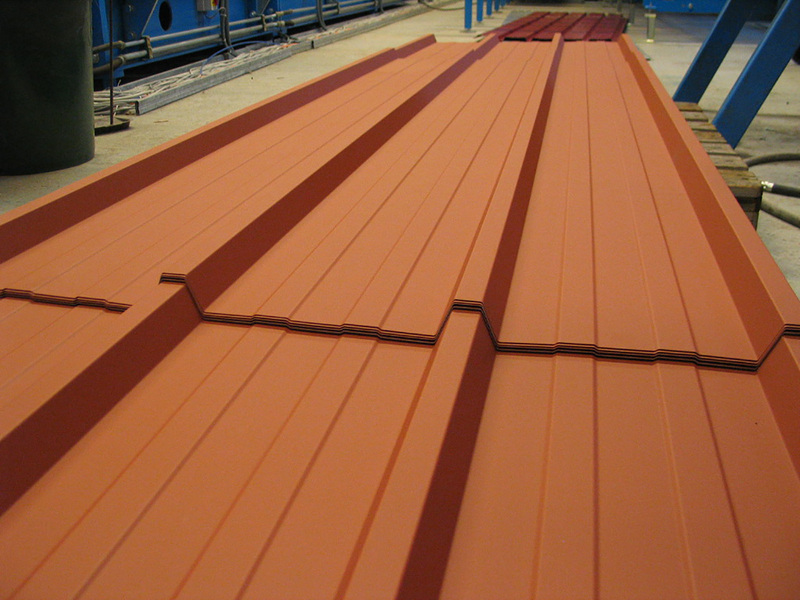 Samesor has an extensive experience in metal roof tile profiles as well as in manufacturing technologies. 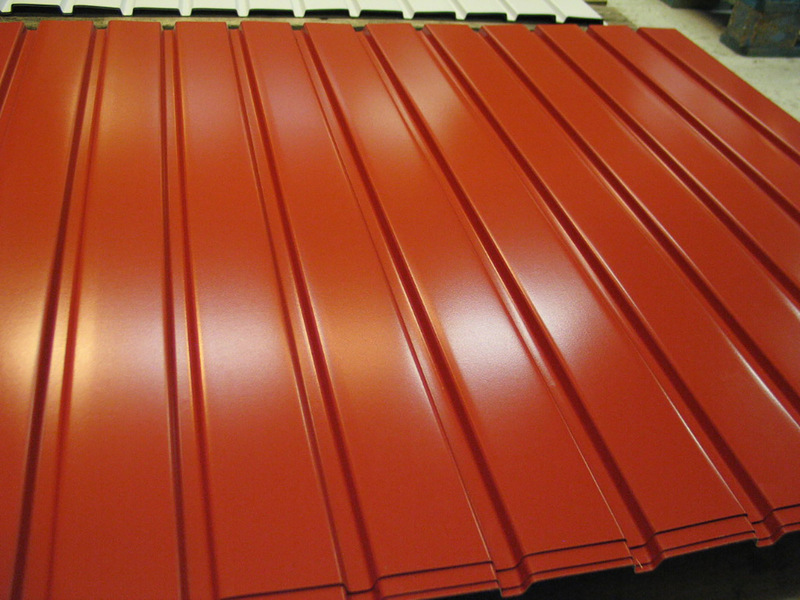 We offer wide range of metal roof tile designs and can also create completely new product innovations according to specific customer requirements. 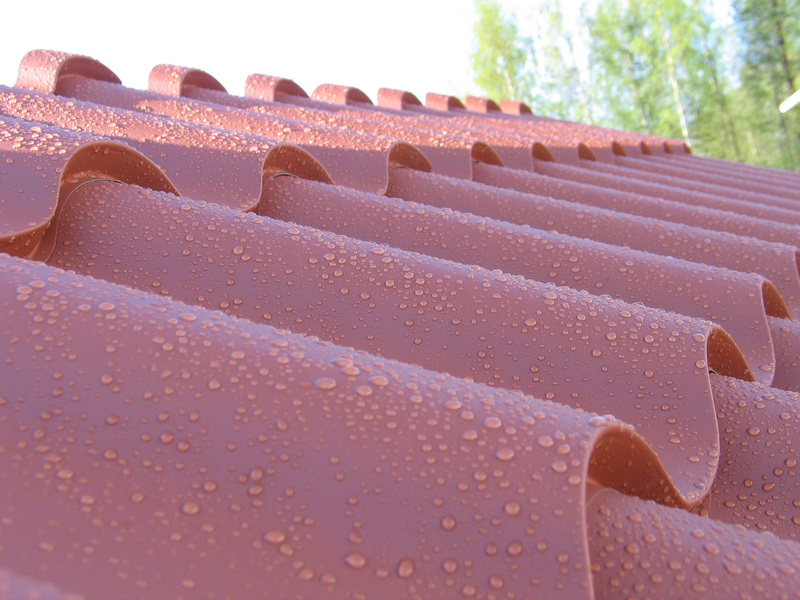 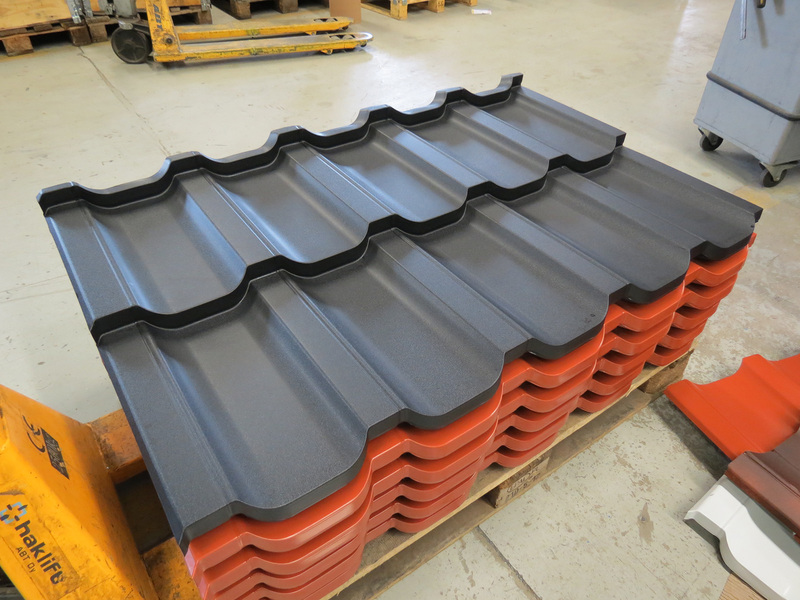 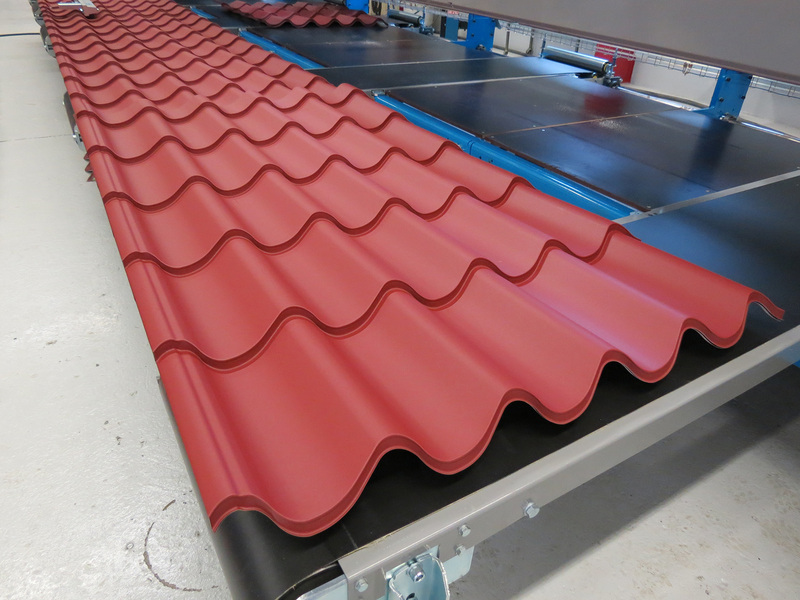 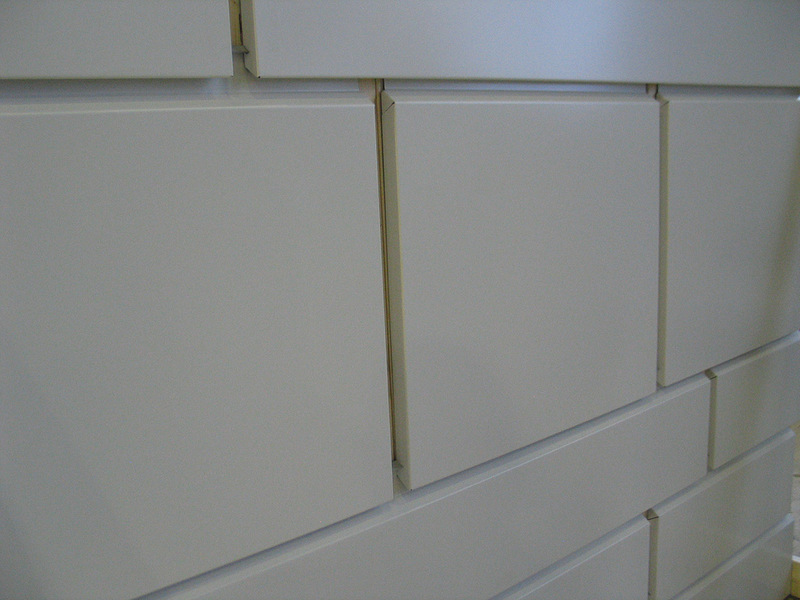 Modular roof tile panels (standard-length panels and custom-length profiles). 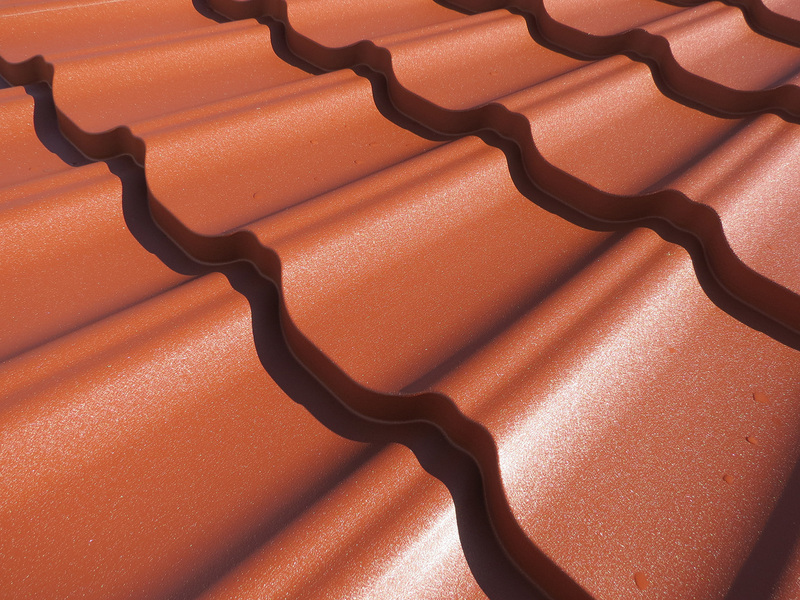 Roof tile products for roofing with concealed fixing, like Samesor Z-Lock a roofing profile with secret fix detailing. 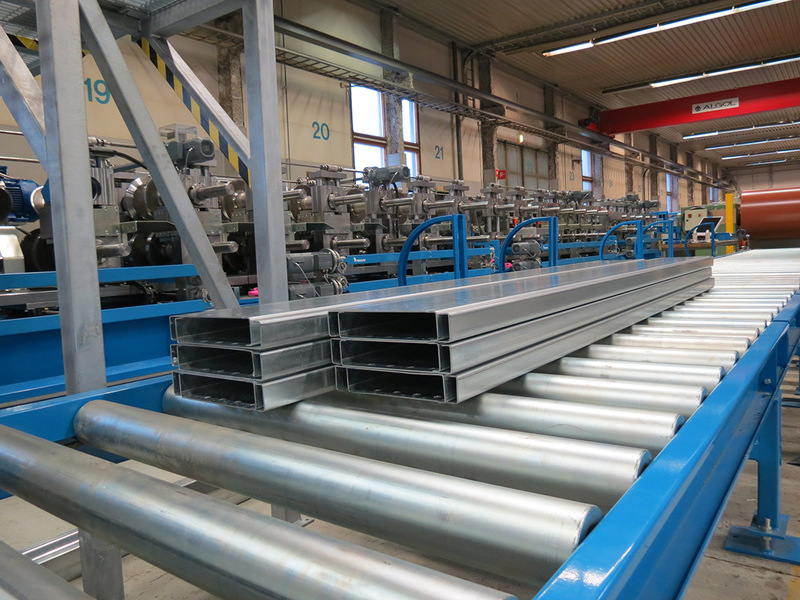 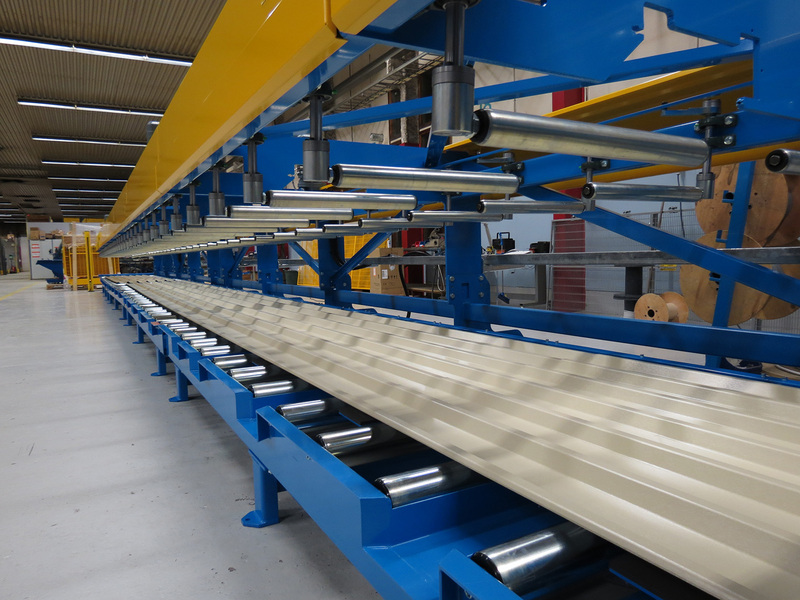 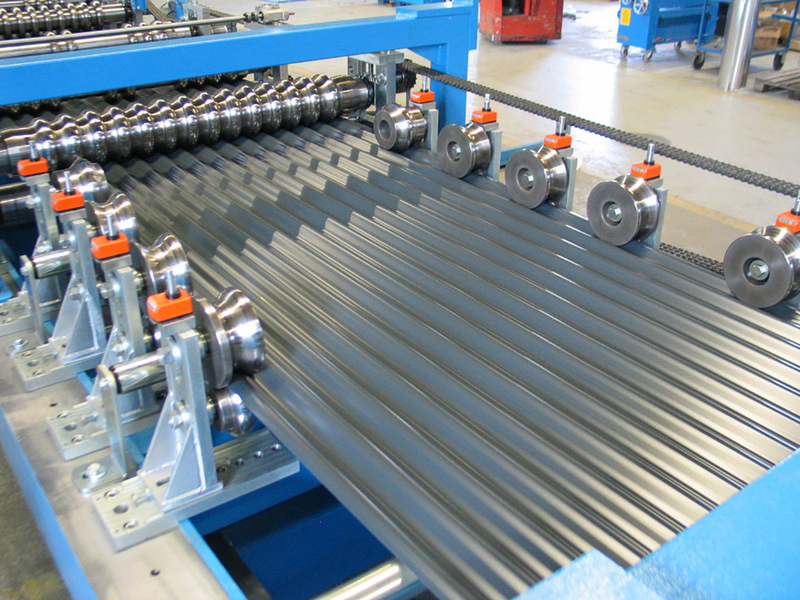 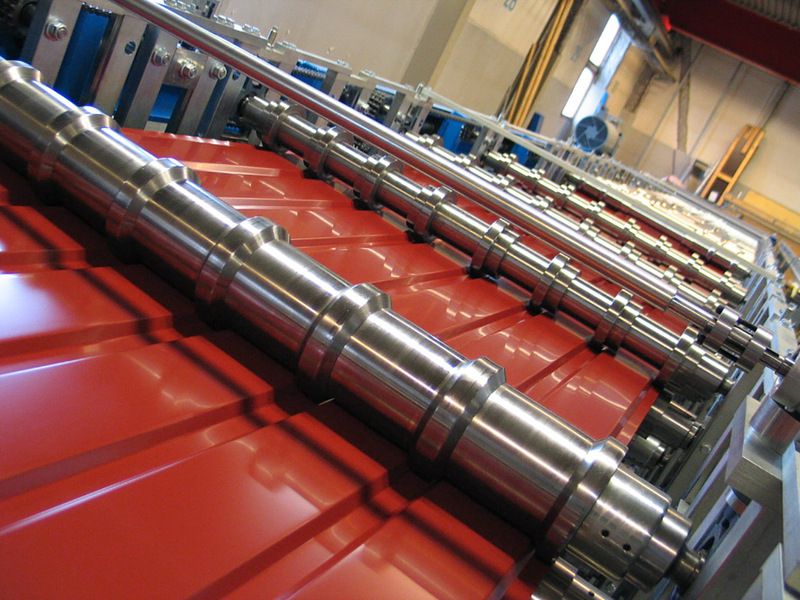 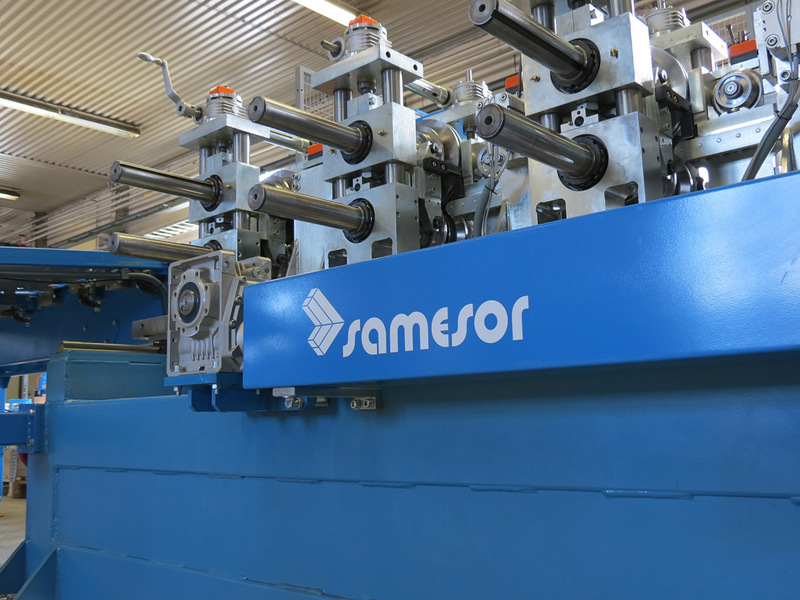 Samesor produces high-quality lines for efficient production of trapezoidal and corrugated profiles, as well as standing seam products. 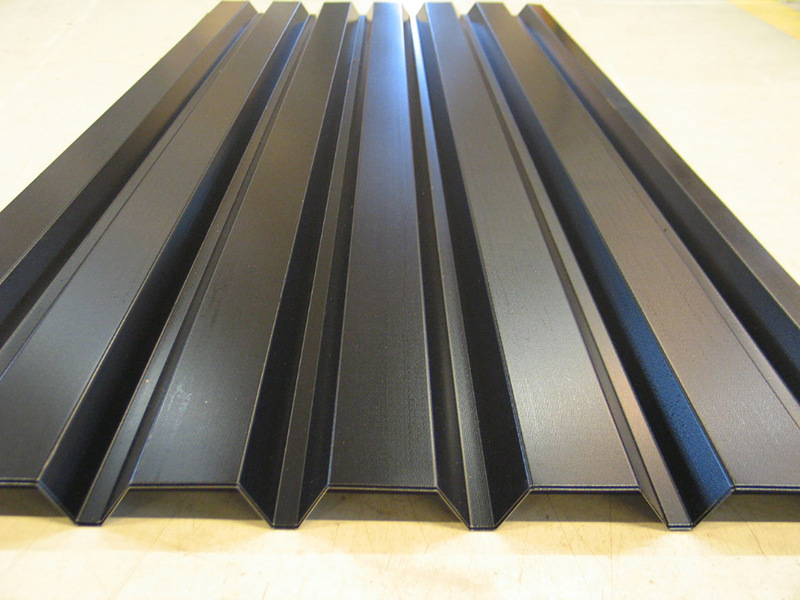 We have a wide range of profile designs from classic sinusoidal profiles to deep decking products. 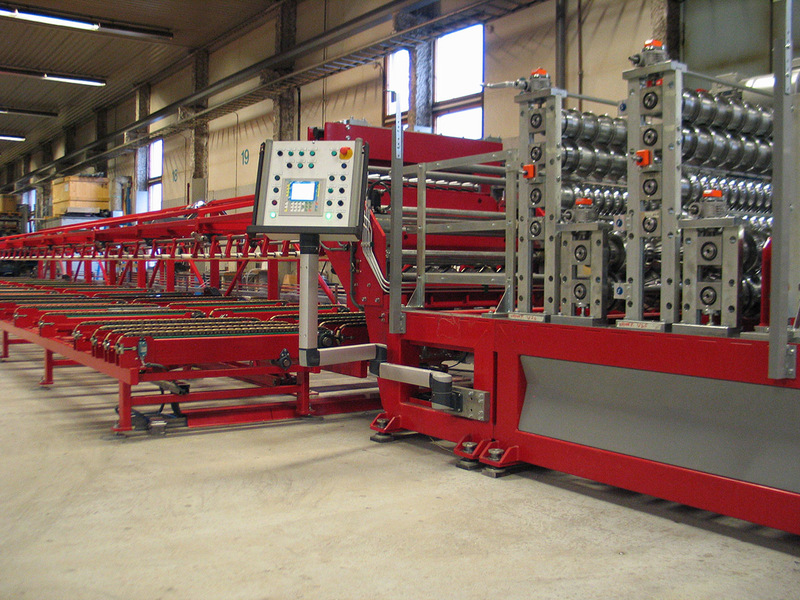 We can also custom-design the machine with additional features and innovations according to customer needs. 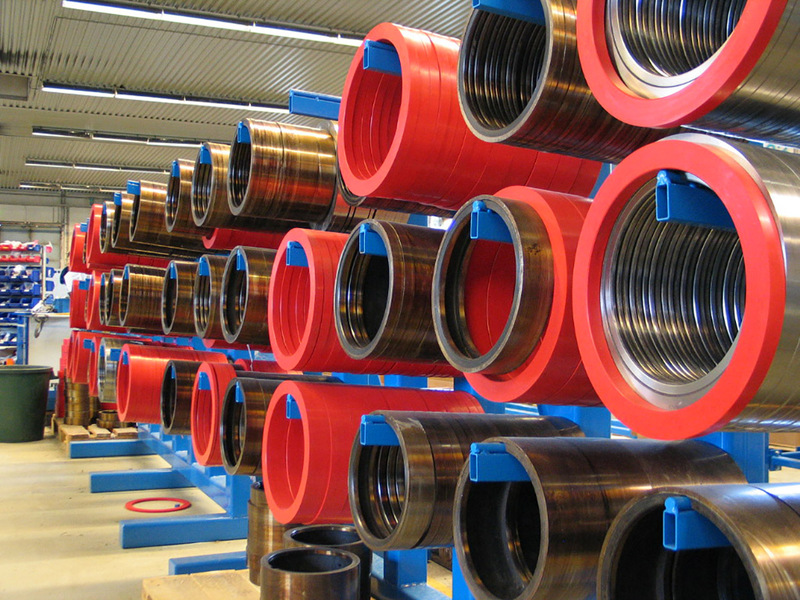 Samesor lines are well-known for their reliability and flexibility. 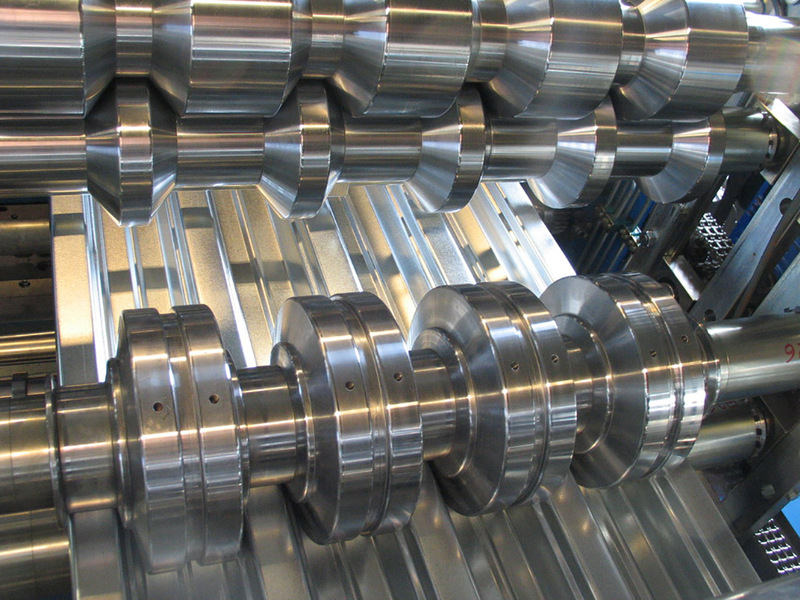 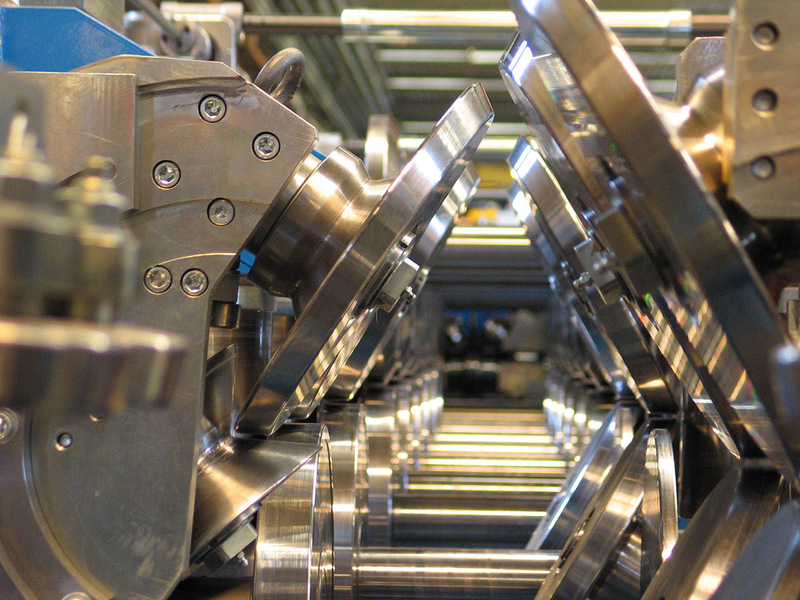 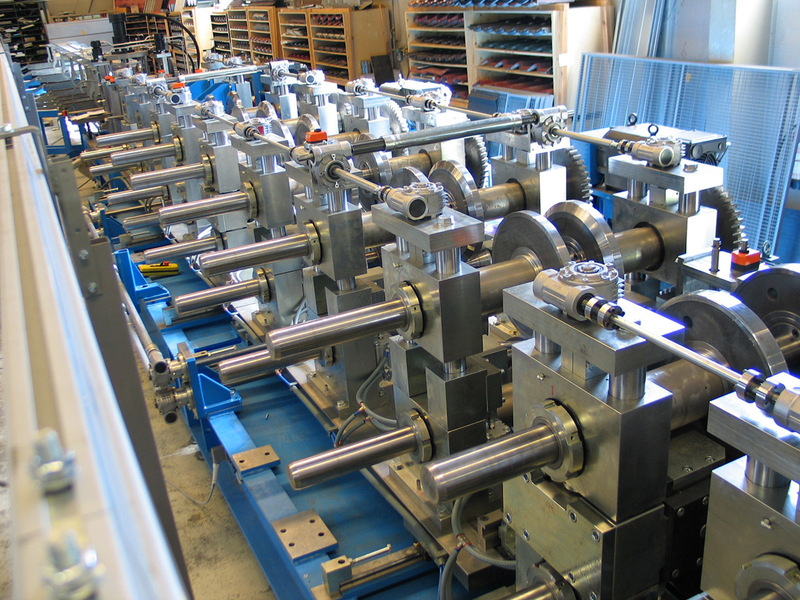 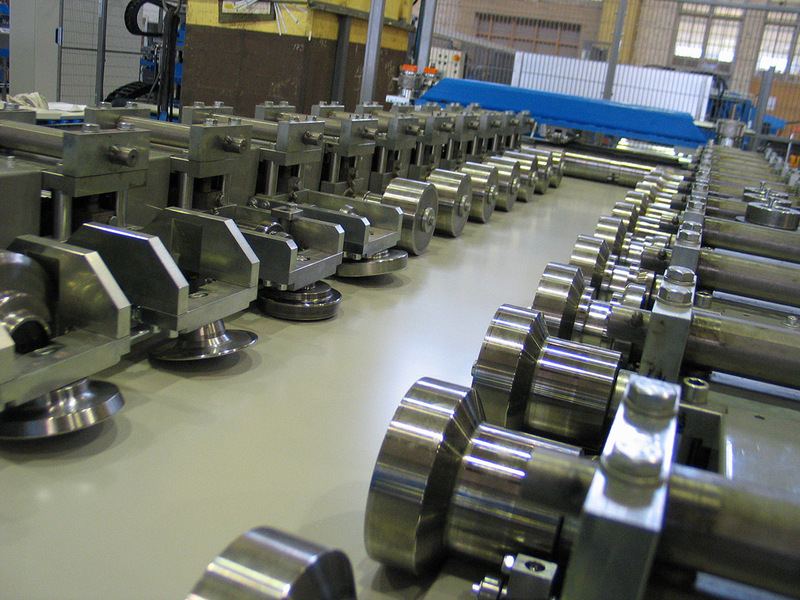 Our rollforming lines are made of premium quality parts and components offering a long-lasting production solution. 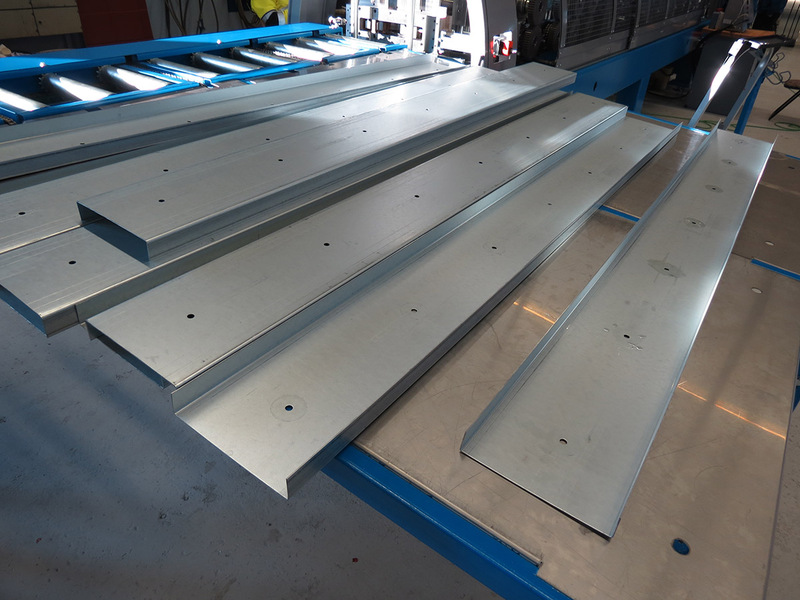 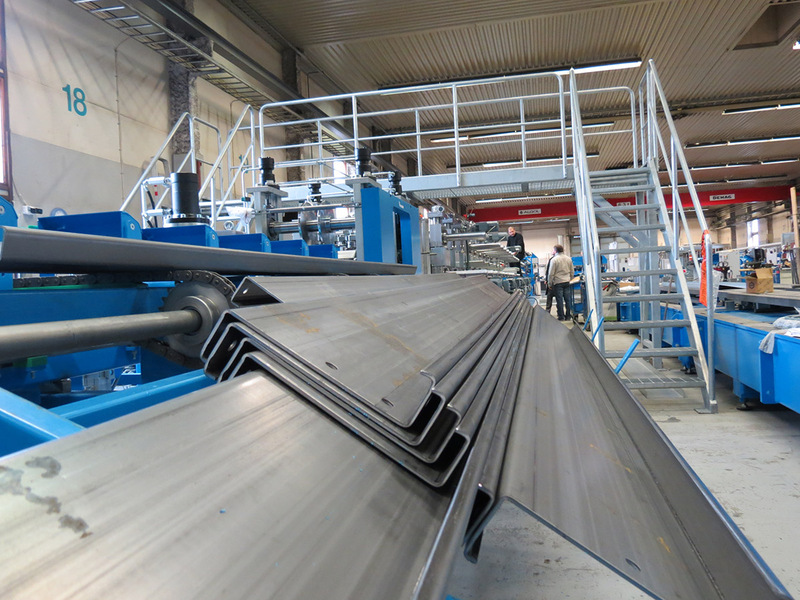 Samesor offers production solutions for roofing and decking profiles also as multi-deck lines and as quick-change cassette lines. 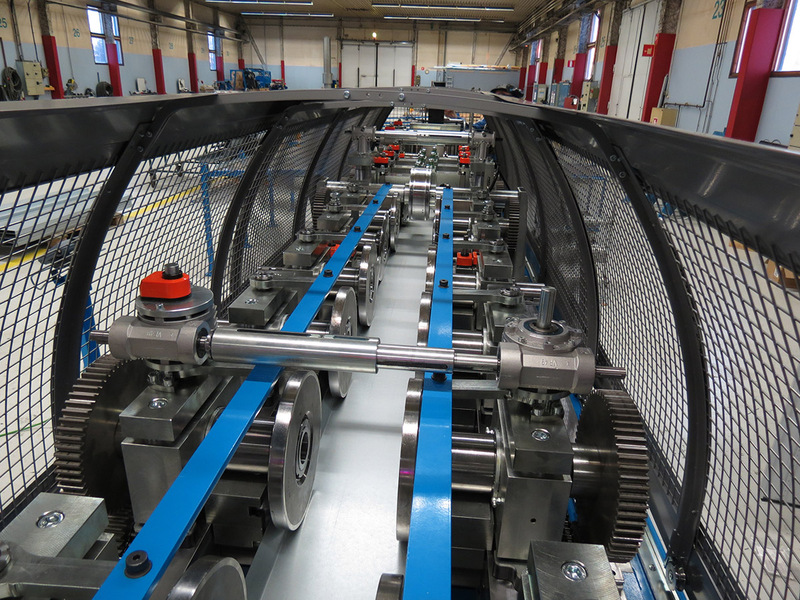 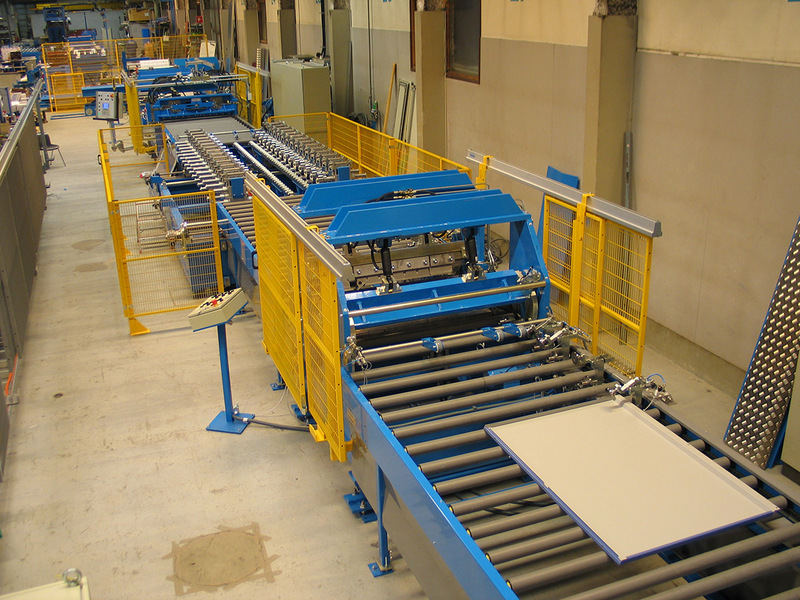 Multi-deck lines – either a Double or Triple Decker – ensure high production efficiency with minimized changeover time, not forgetting the optimal use of factory floor space. 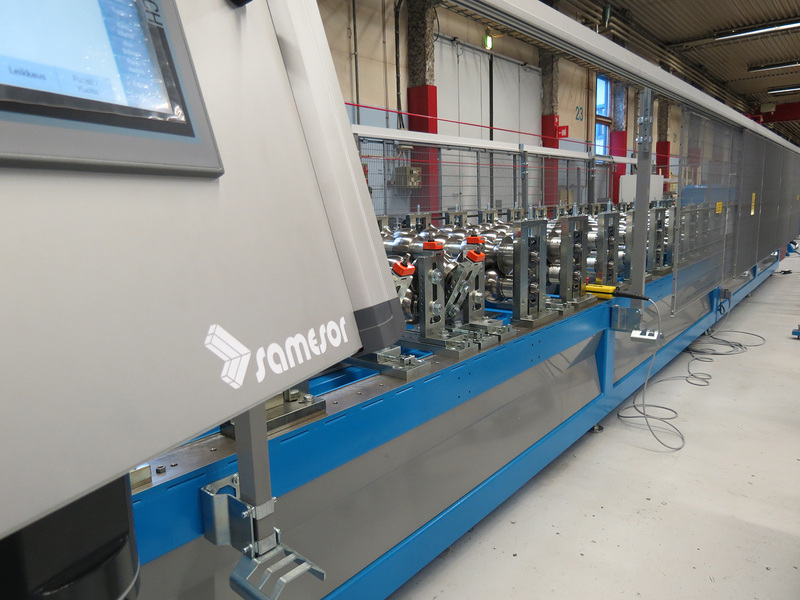 With the Samesor multi-deck solution, the production flexibility of profiles reaches a new standard of excellence. 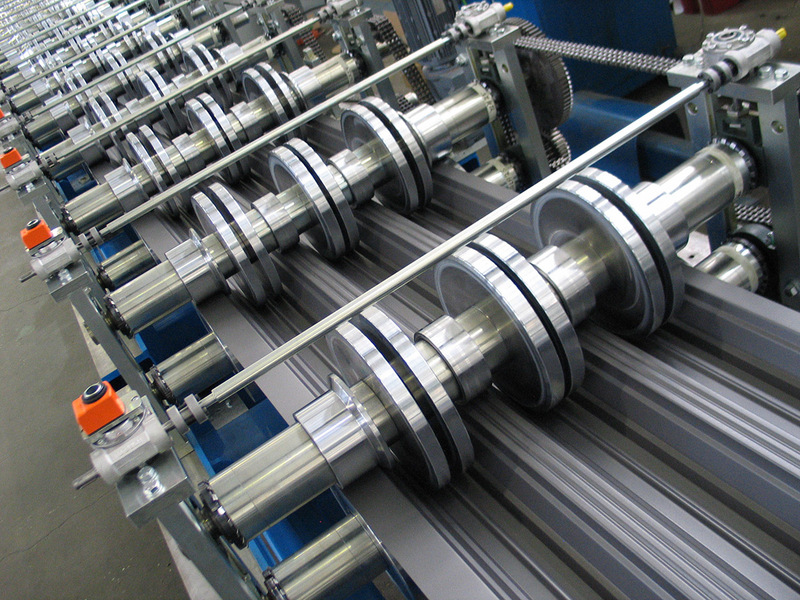 Quick-change cassette lines allow great flexibility in product selection along with high volume output. 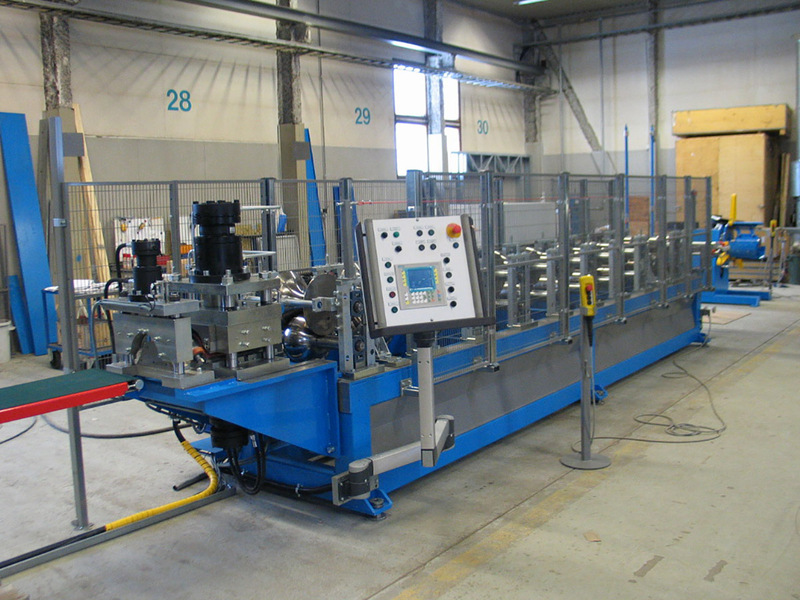 The Samesor quick-change cassette line is a combination of production capacity, quality and cost-effectiveness. 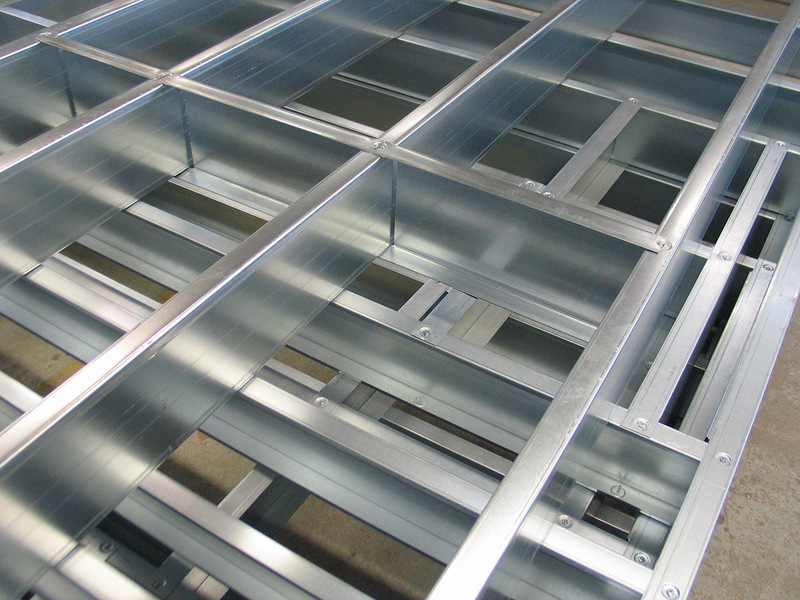 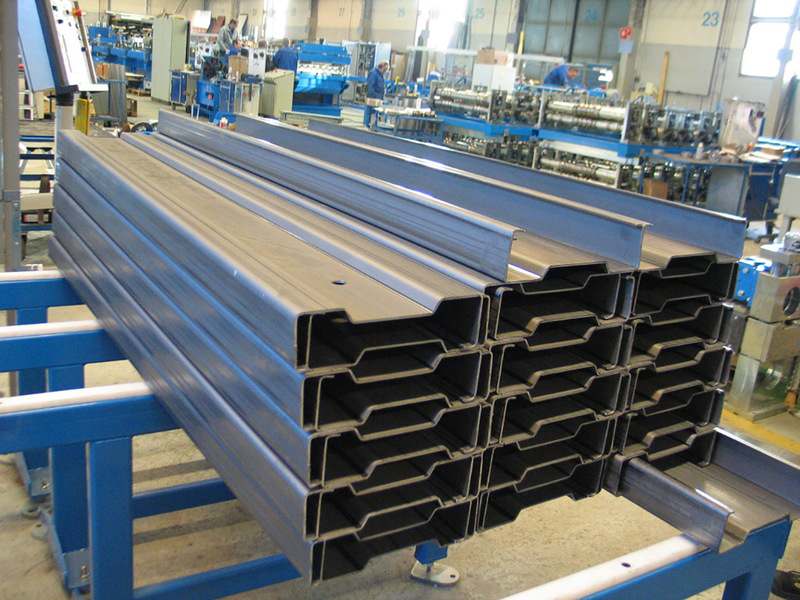 Our range of manufacturing solutions for steel construction includes machines for prefabricated light steel frame and element production, as well as machines for purlin production. 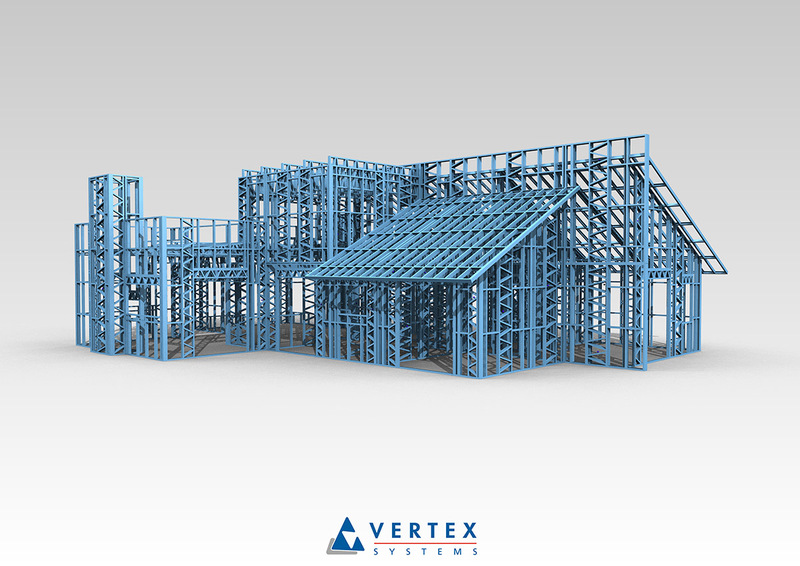 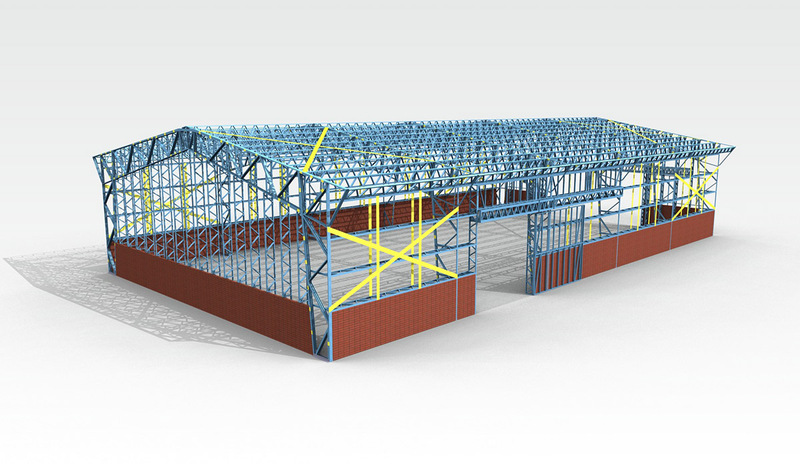 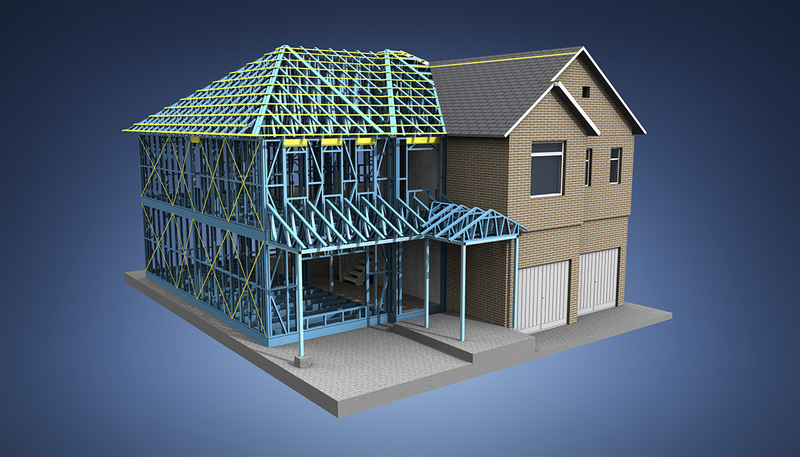 Samesor LSF solutions automate the building creation process from CAD design to ready-to-assembly prefabricated steel frames. 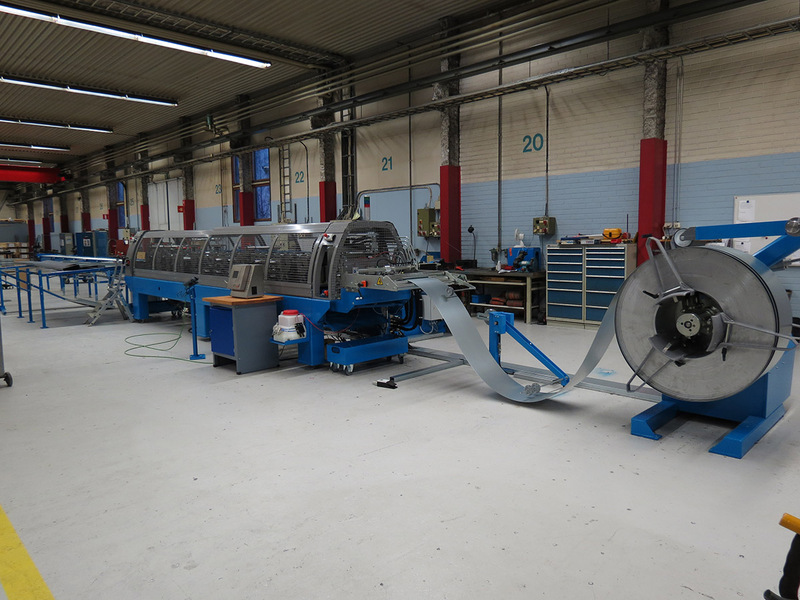 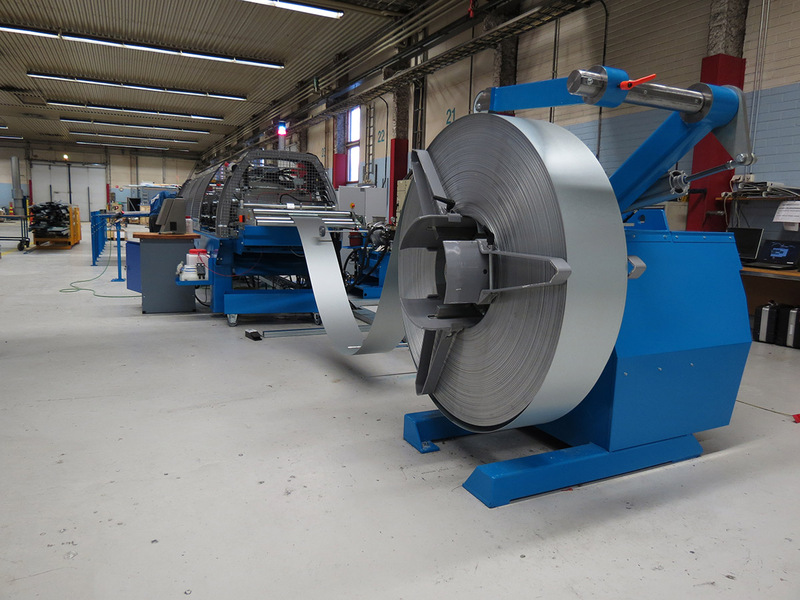 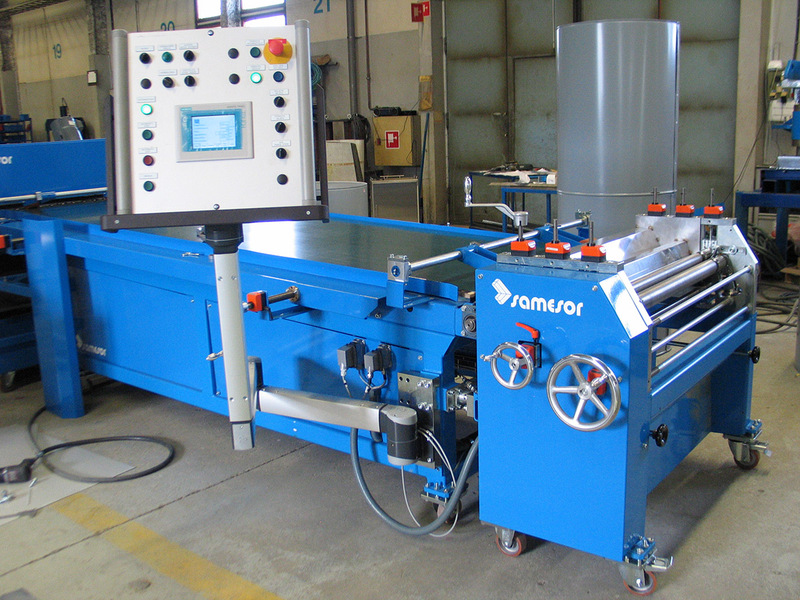 The key features of Samesor machines are their versatility and flexibility in sheet metal working and roll forming, combined with an easy-to-use control system. 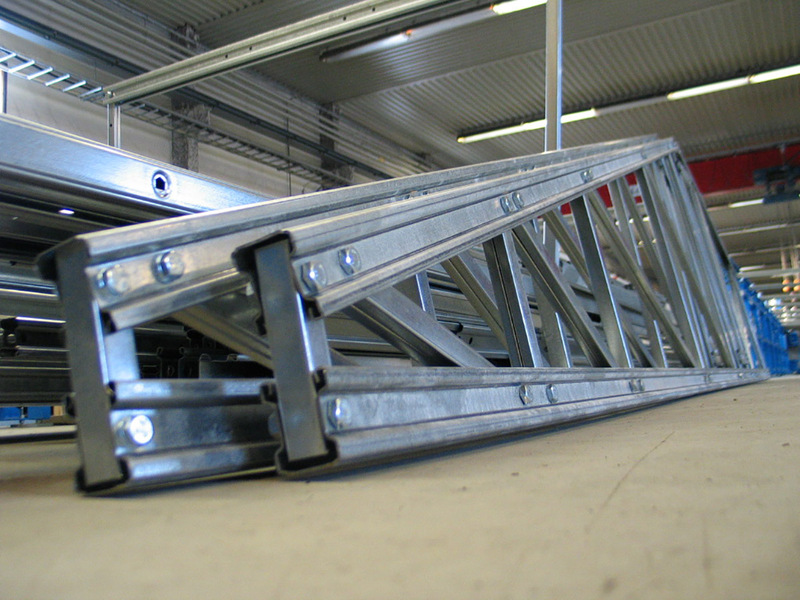 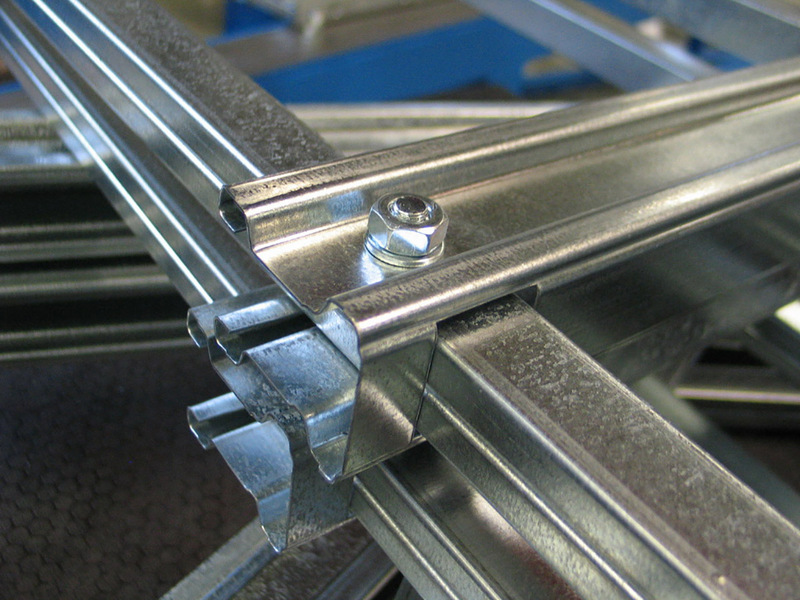 Samesor Prefab DYNAMIC is a compact solution for light steel frames. 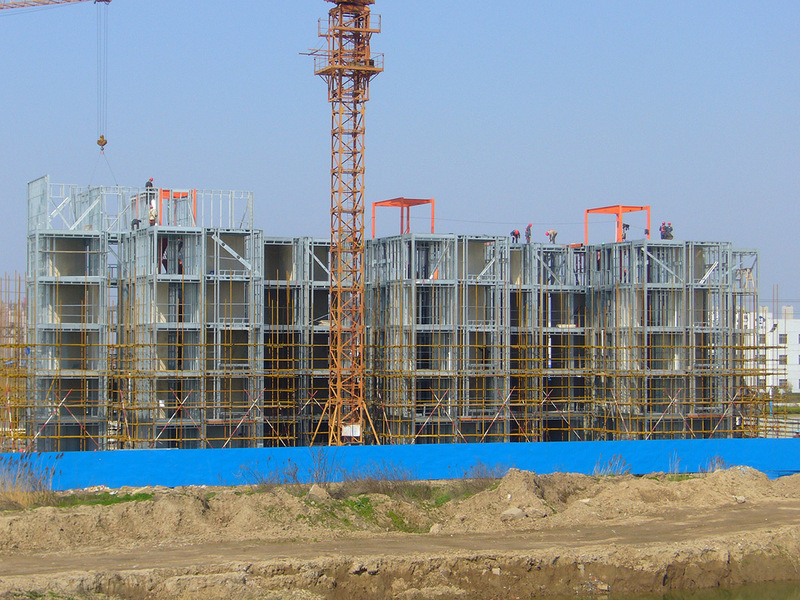 It gives ultimate flexibility but yet affordable way to produce prefabricated C-studs & U-tracks to floor, wall and roof constructions. 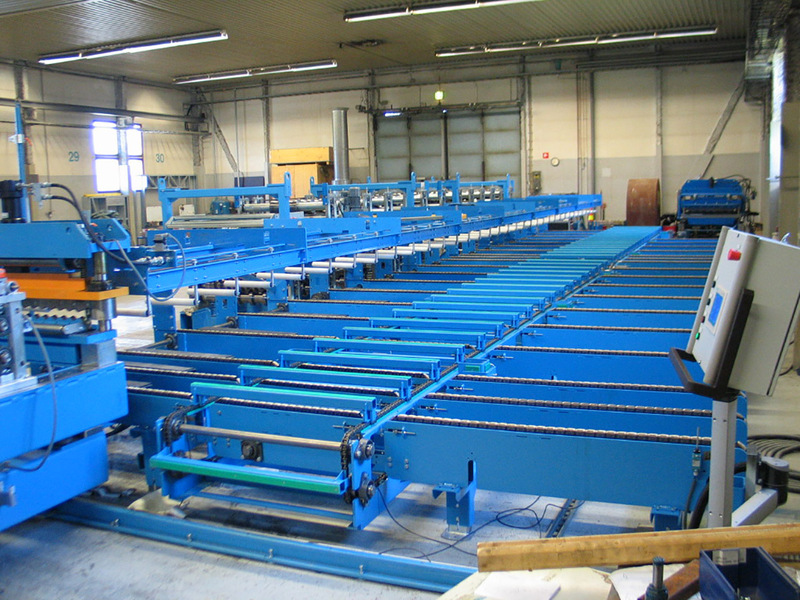 Samesor Prefab Dynamic combines innovative, proven and reliable sheet metal working, roll forming and control techniques which have been used in Samesor lines for steel construction more than a decade. 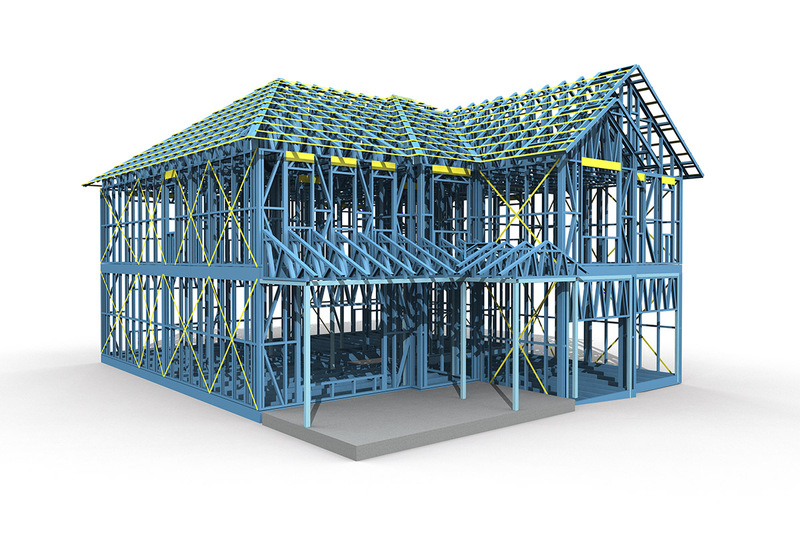 Samesor Prefab Advanced is a CAD/CAM-based manufacturing system that takes advantage of sheet metal technology to produce prefabricated steel frame structures for buildings including residential houses, commercial buildings, social premises, module containers, facade elements, etc. 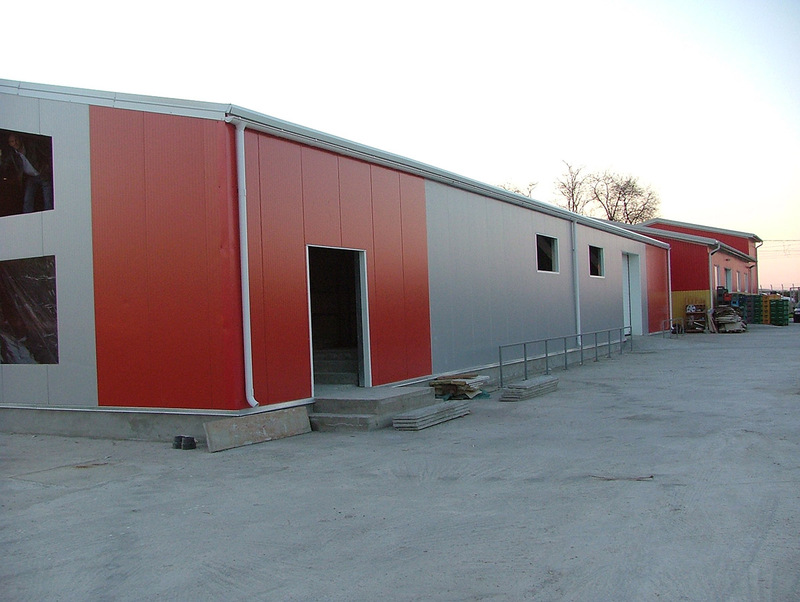 Samesor Prefab Advanced boosts production capacity and improves speed and accuracy in the building process. 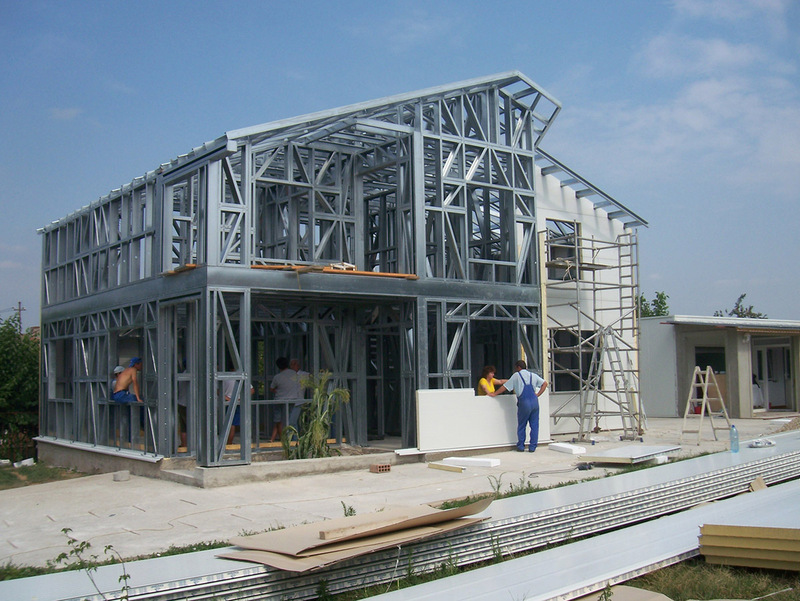 Samesor Prefab Superior: production of prefabricated members and frames for multi-storey buildings, as well as prefabricated purlins and structures for industrial buildings like halls and warehouses, and framing elements for other needs in building construction. 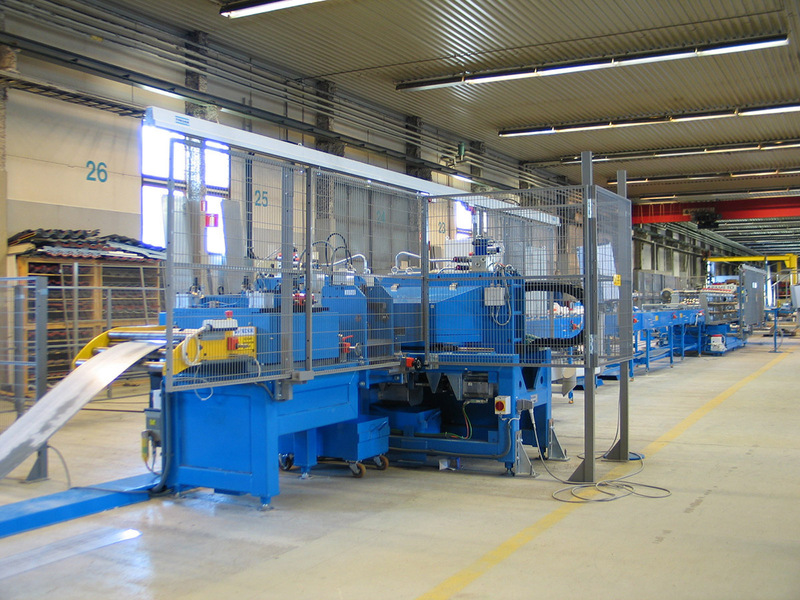 Samesor Prefab Superior permits a brand-new level of sheet metal use in building frameworks. 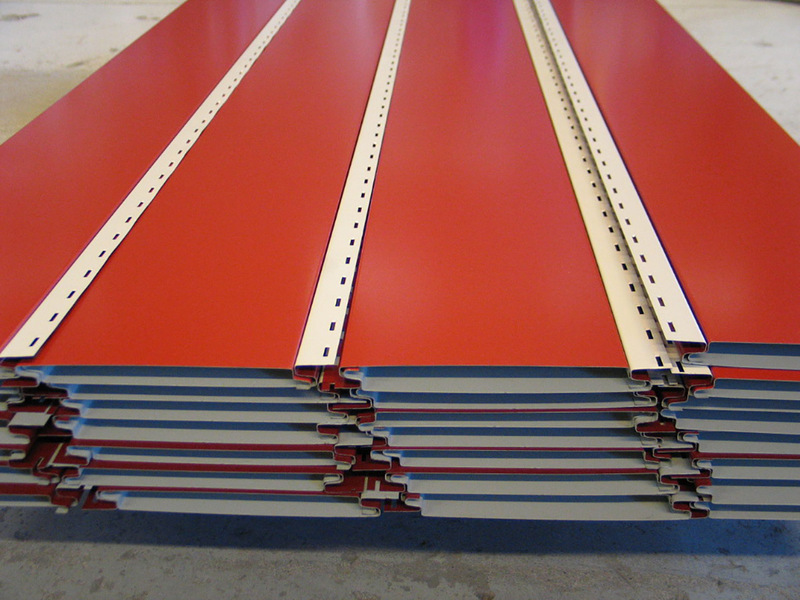 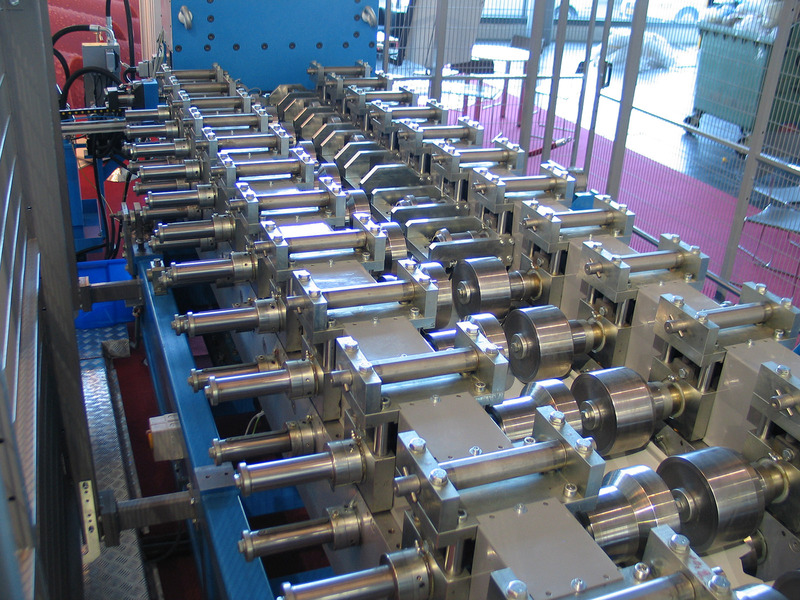 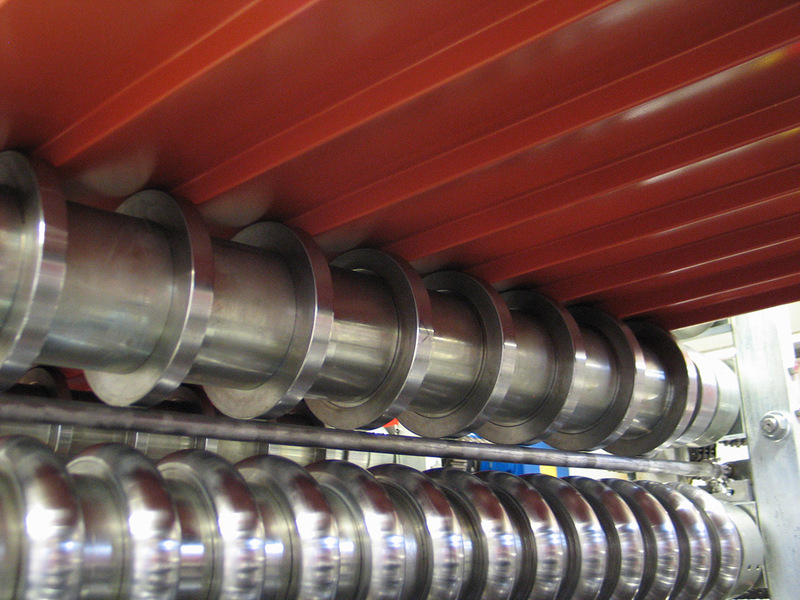 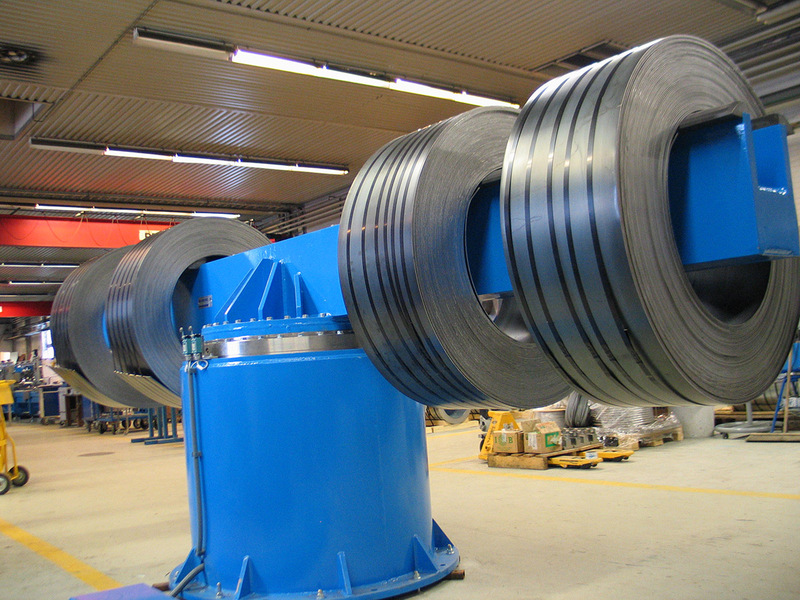 Profile web width 100–450 mm, flange height 50-100 mm, sheet thickness 1–4 mm. 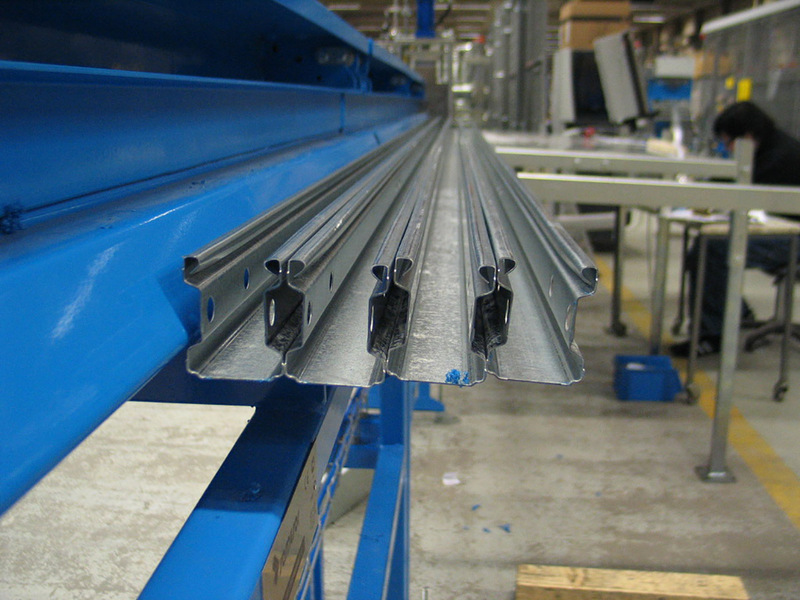 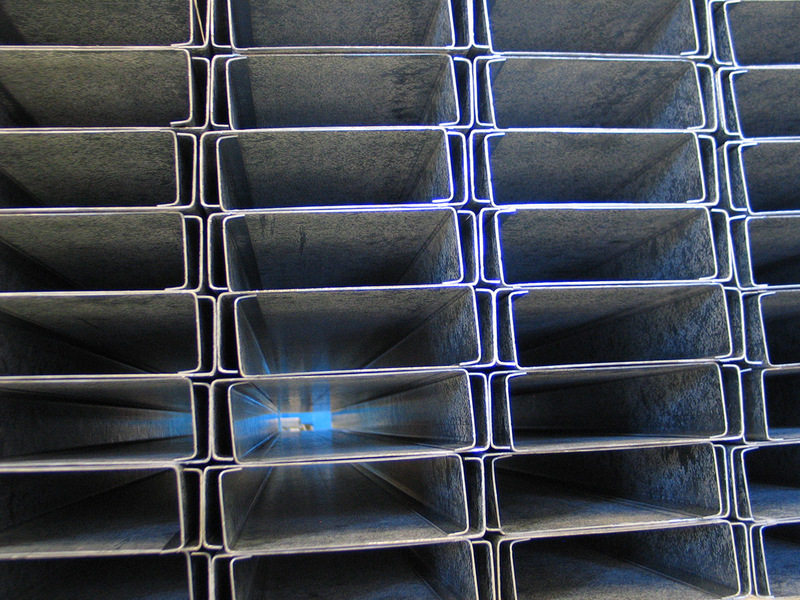 Samesor Purlin Superior line offers a wide range of C, U, Z and Sigma profiles in sheet thicknesses of 1–4 mm for primary and secondary structures for industrial buildings. 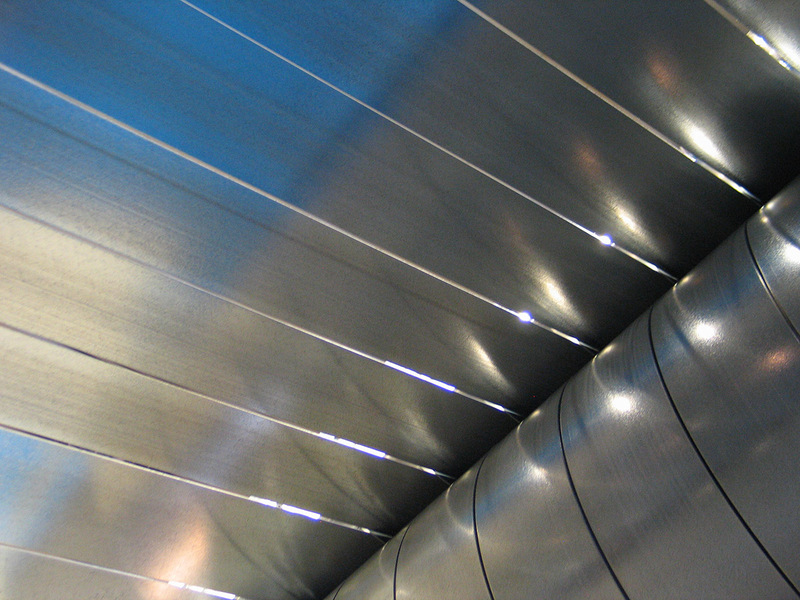 Our purlin lines are based on the most reliable roll forming and sheet-working technologies providing a great advance in effective purlin production. 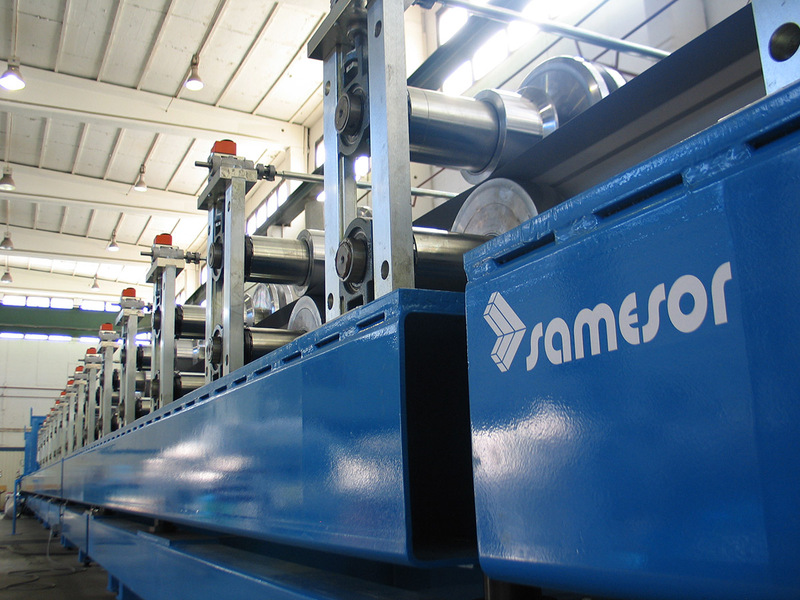 Samesor Purlin Superior line gives you great flexibility and accuracy in your production. 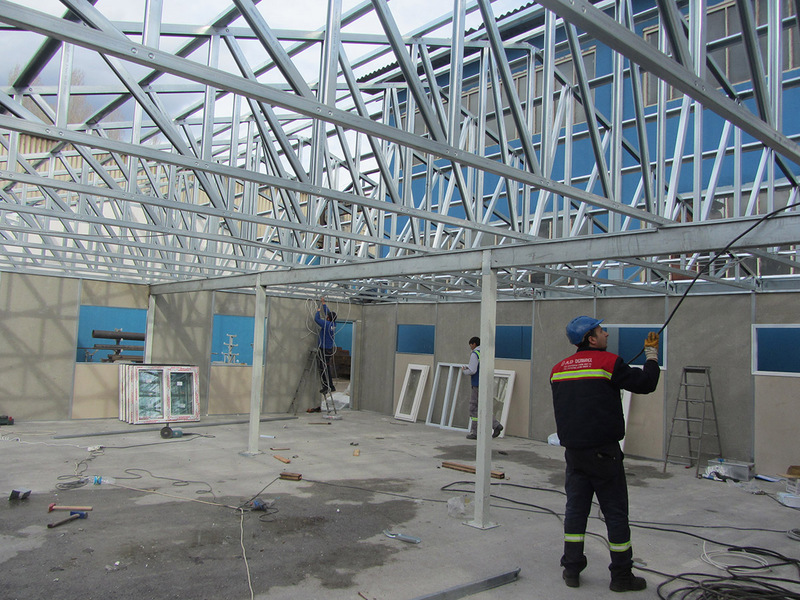 The production of light and load-bearing trusses and joists reaches a new level of output capacity with Samesor Roof Member line. 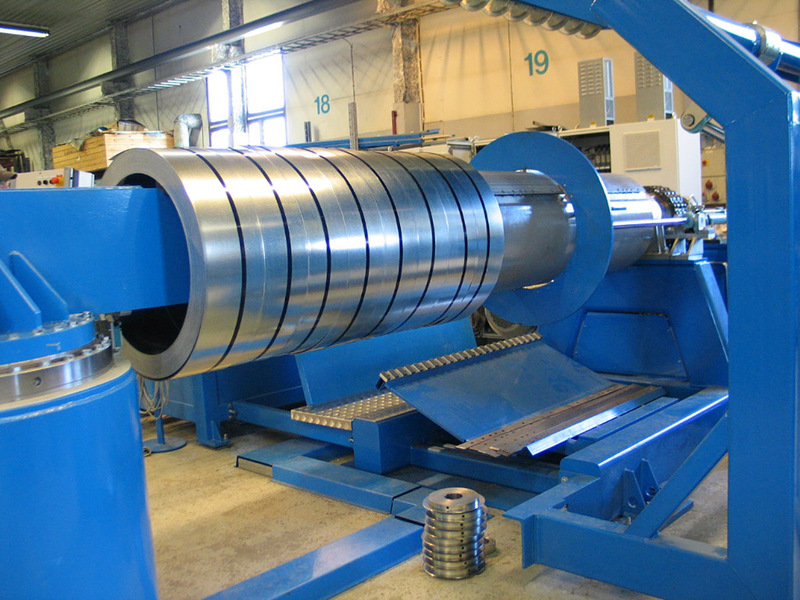 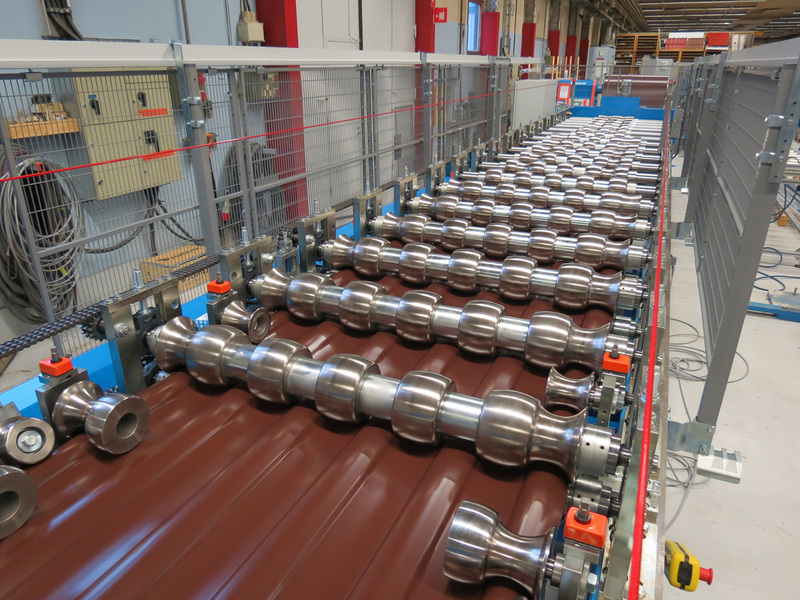 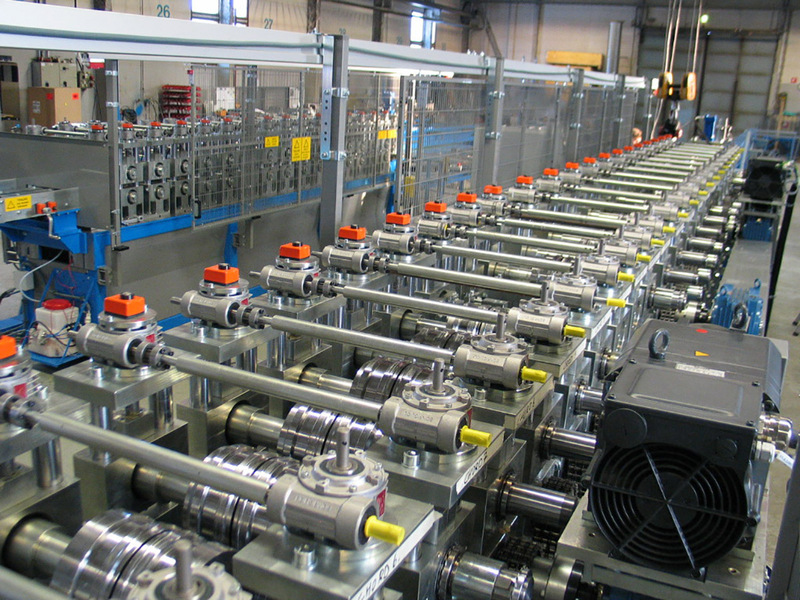 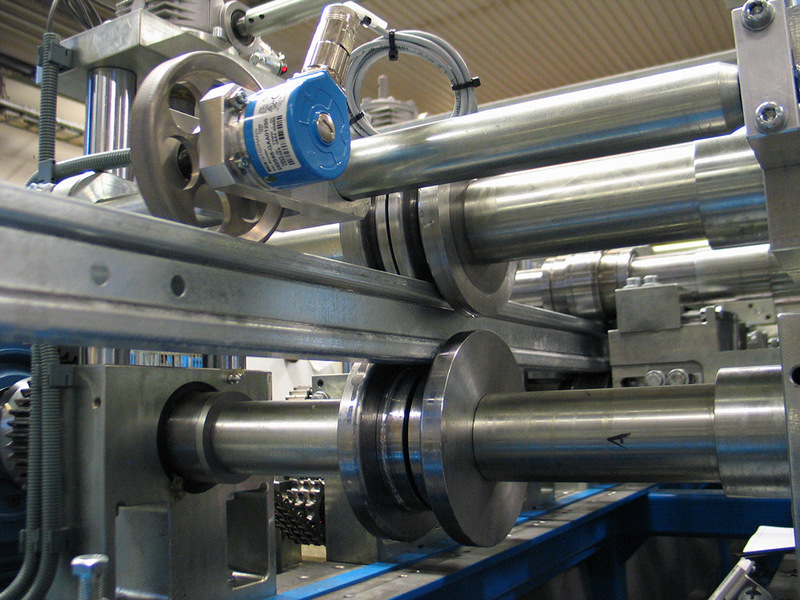 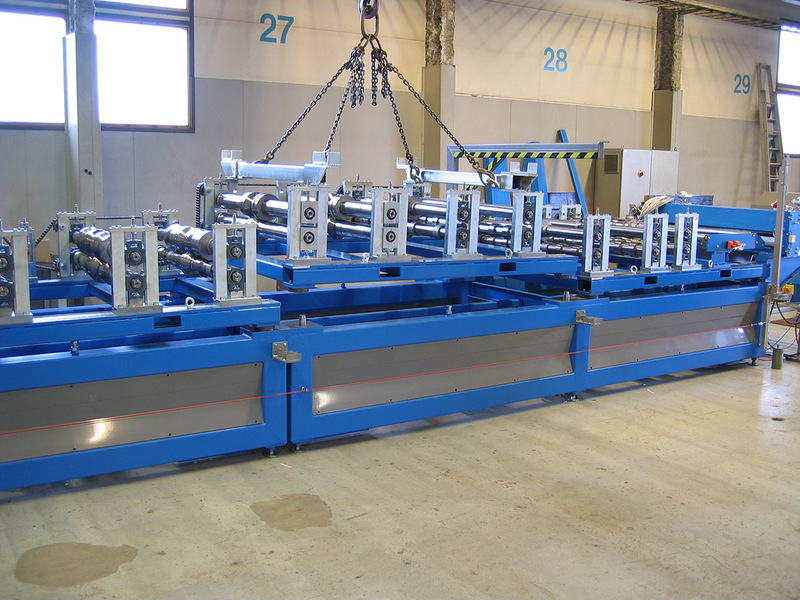 Optimally designed Chord and Web profiles with all the needed joint details are produced simultaneously in twin line roll forming under a common control. 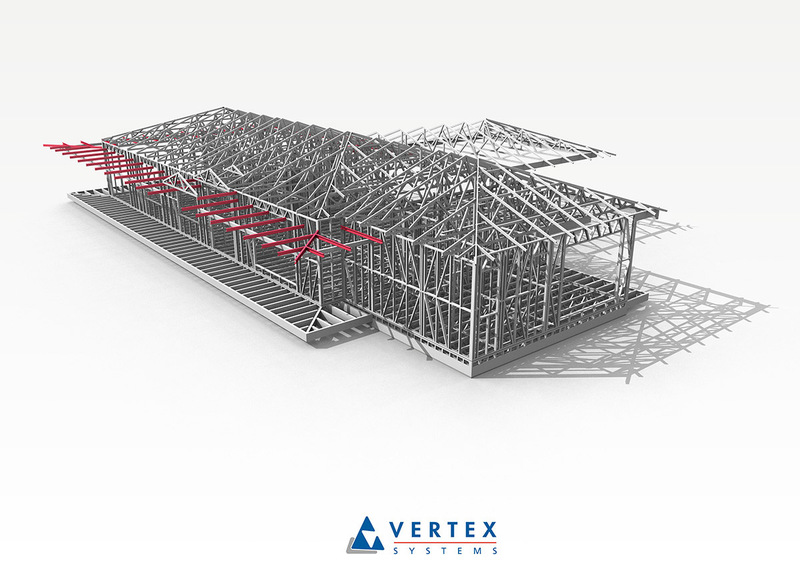 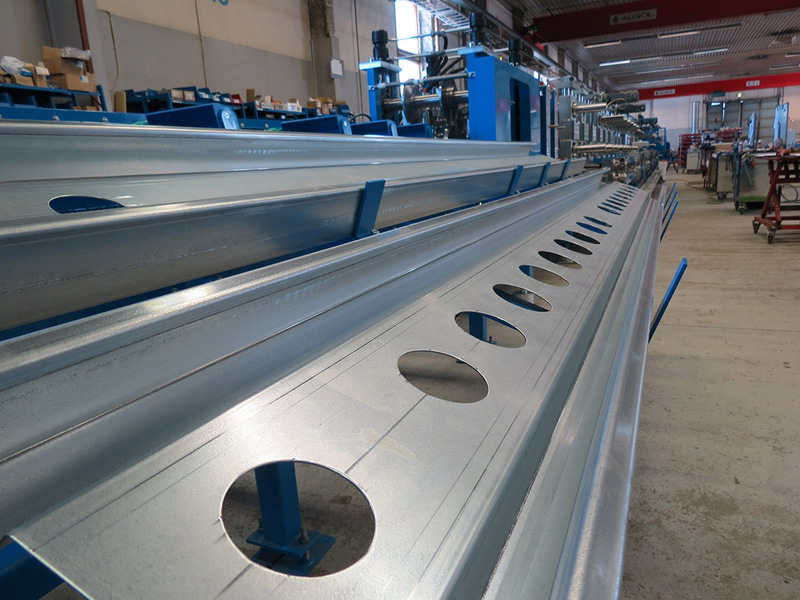 Like our Prefab lines, Samesor Roof Member line is also a CAD-CAM based system: manufacturing data for the automated production line is generated in a 3D-modelling application. 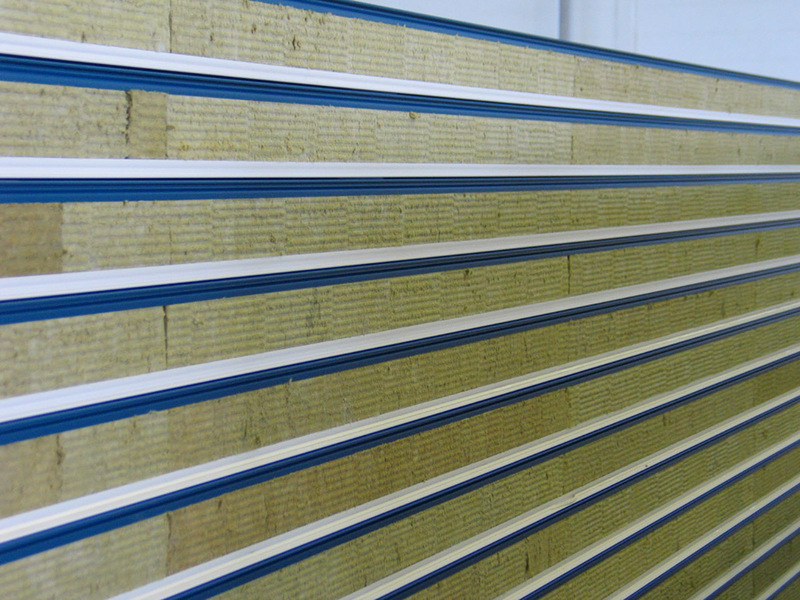 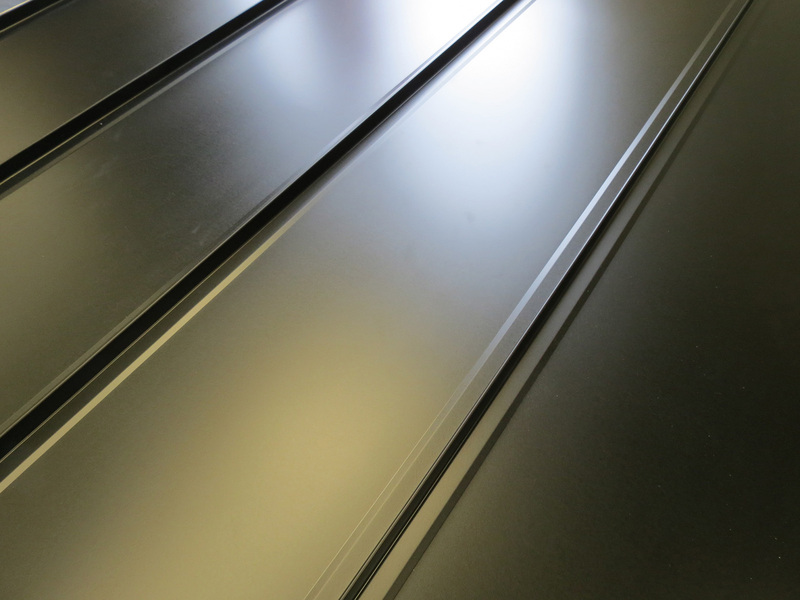 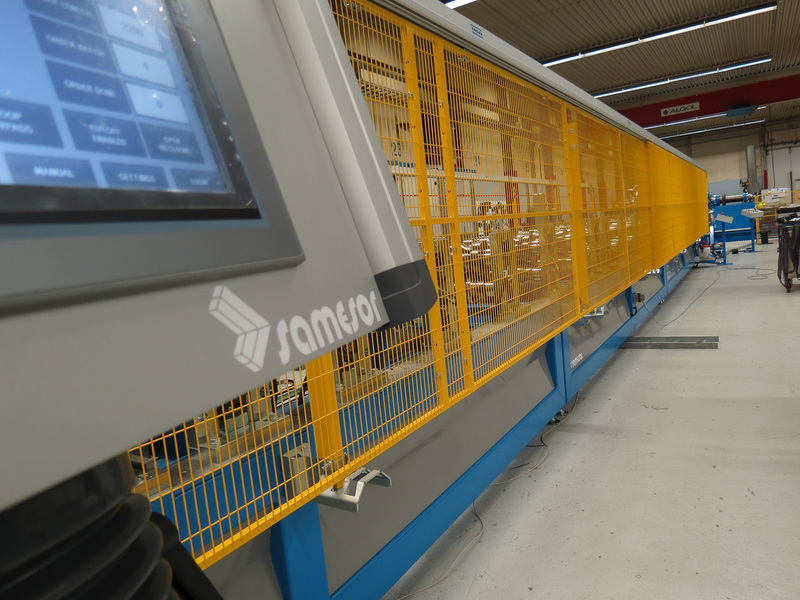 Samesor produces manufacturing applications for a variety of cladding products including profiles, panels and facade cassettes for buildings. 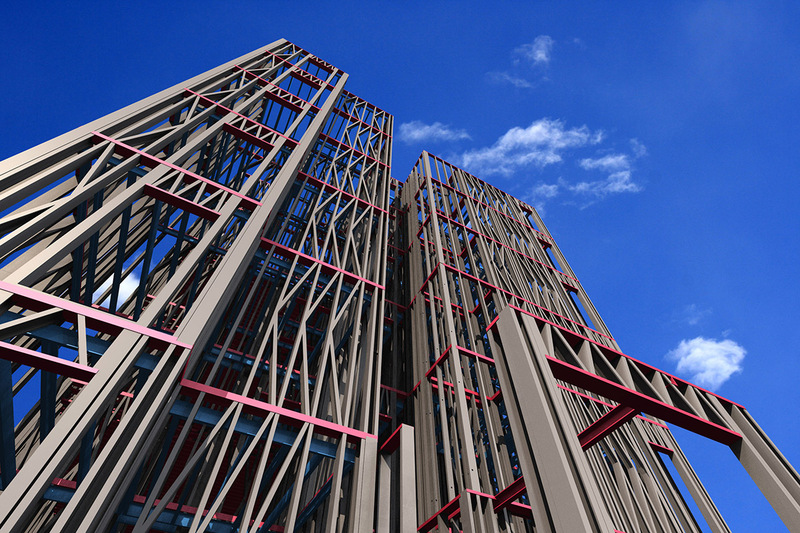 Modern facade construction based on sheet metal technology provides broad potential to create attractive architectural cladding solutions for buildings. 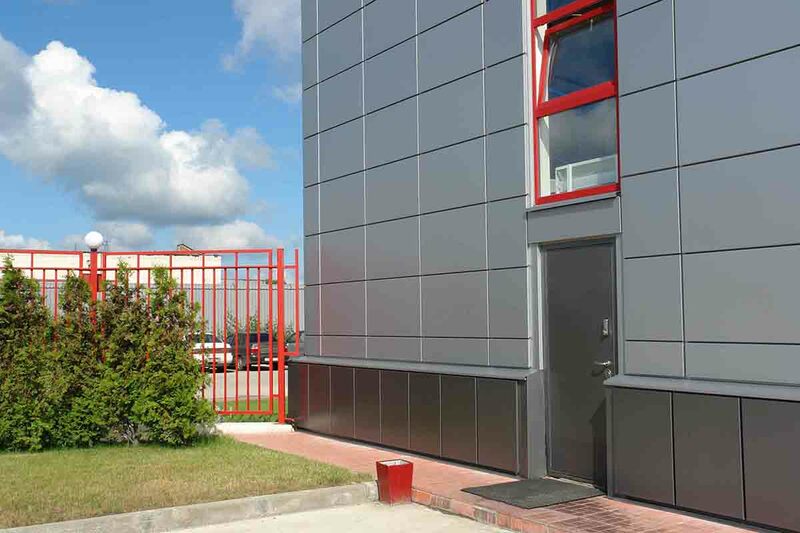 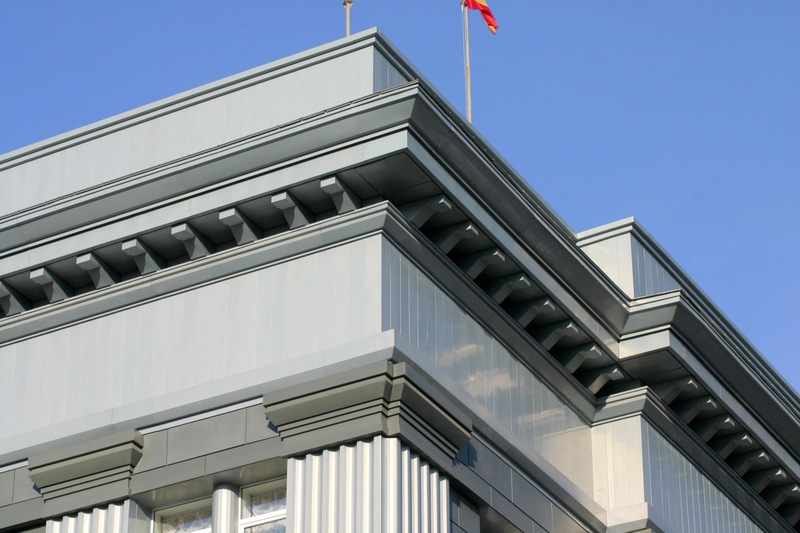 Sheet metal facades have many compelling features: they can be installed quickly and easily, and are long-lasting and cost-effective. 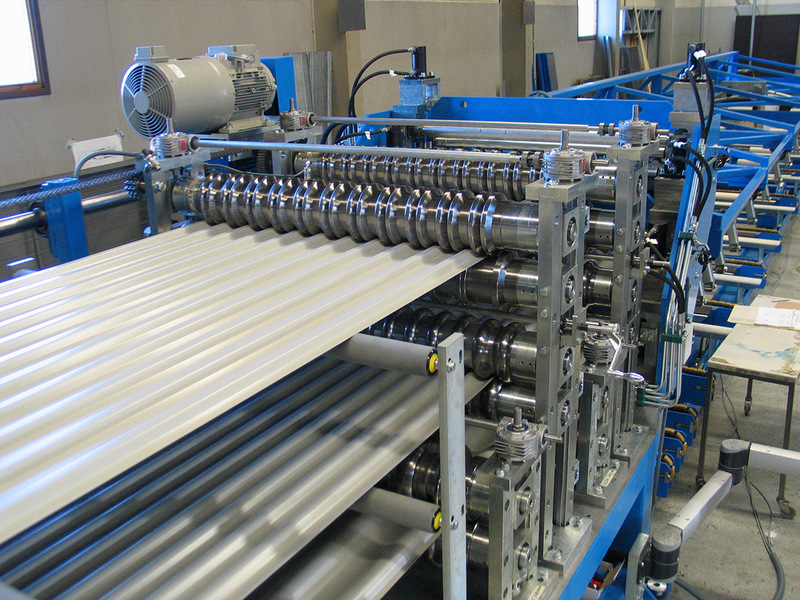 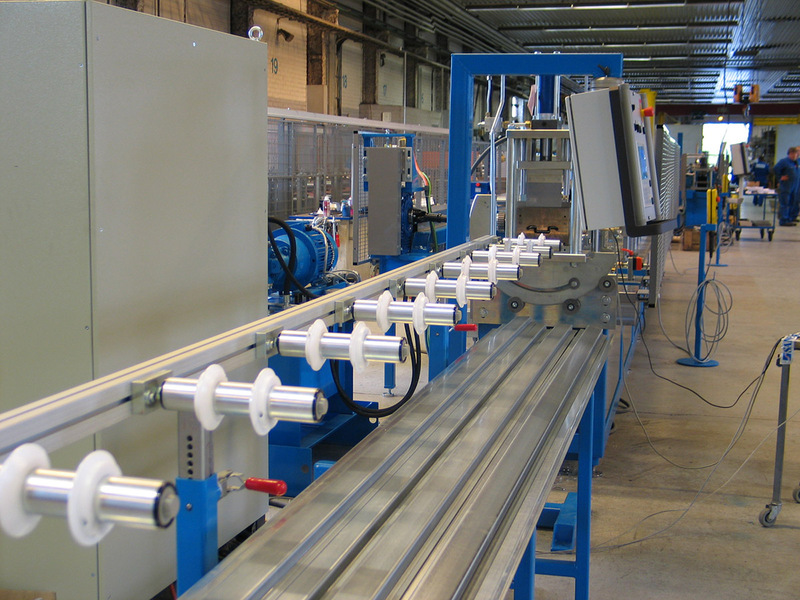 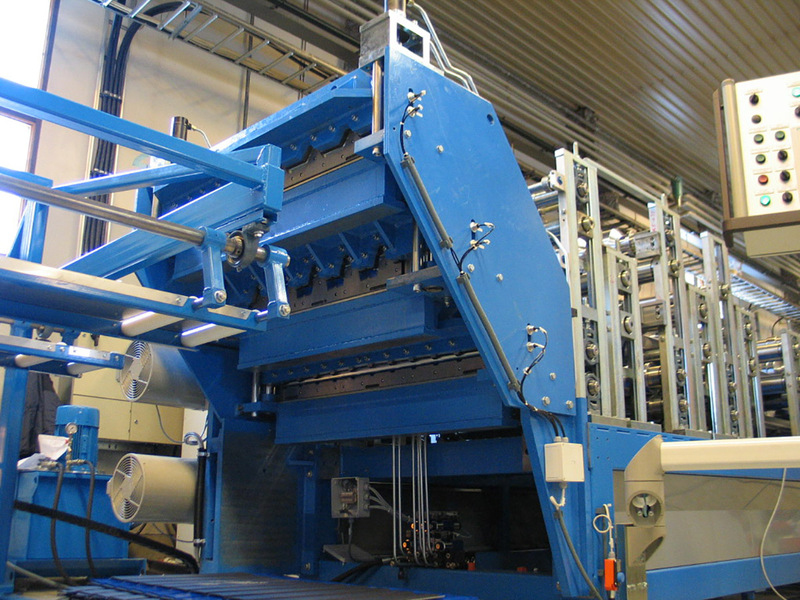 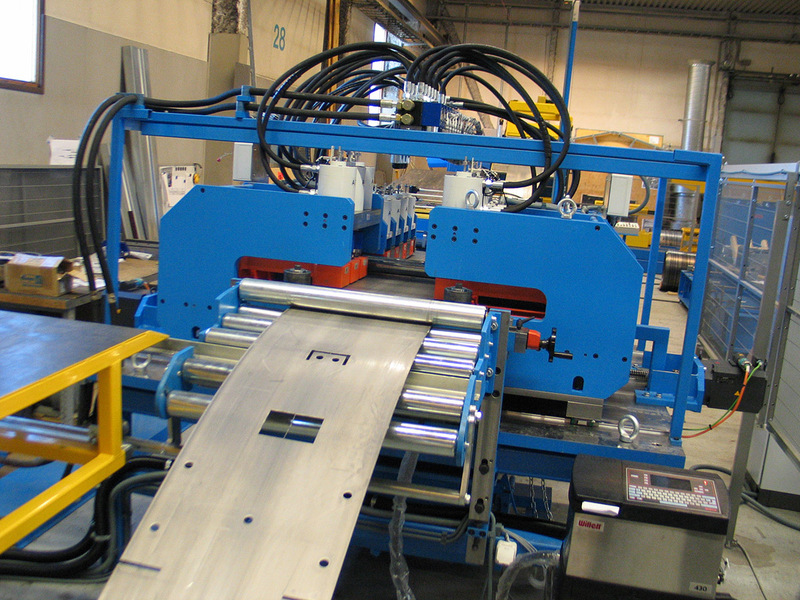 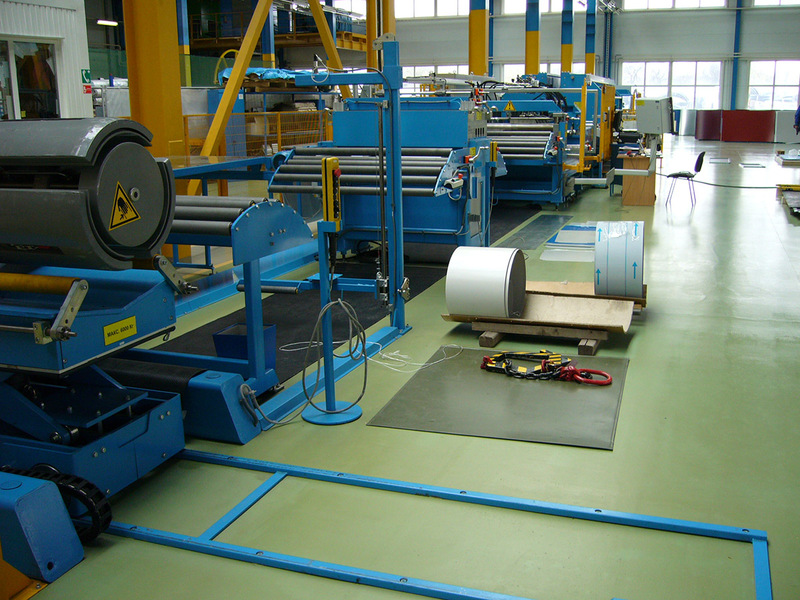 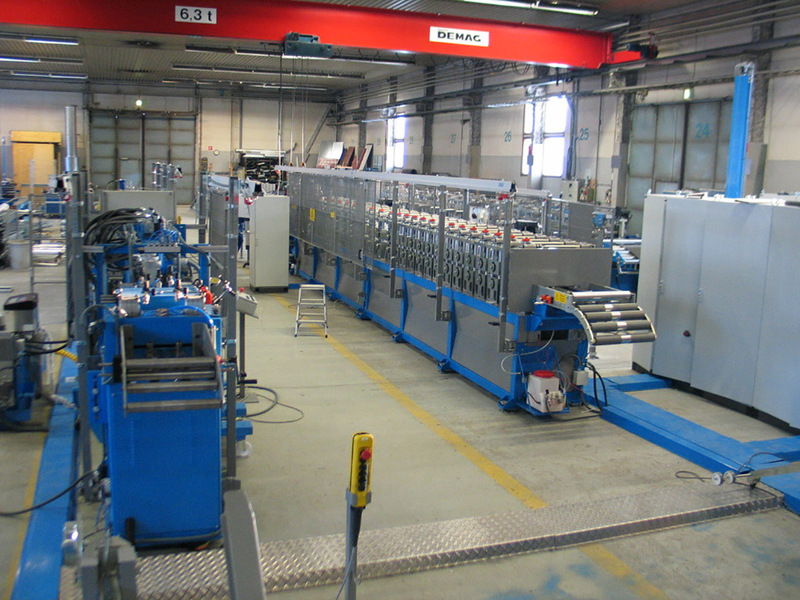 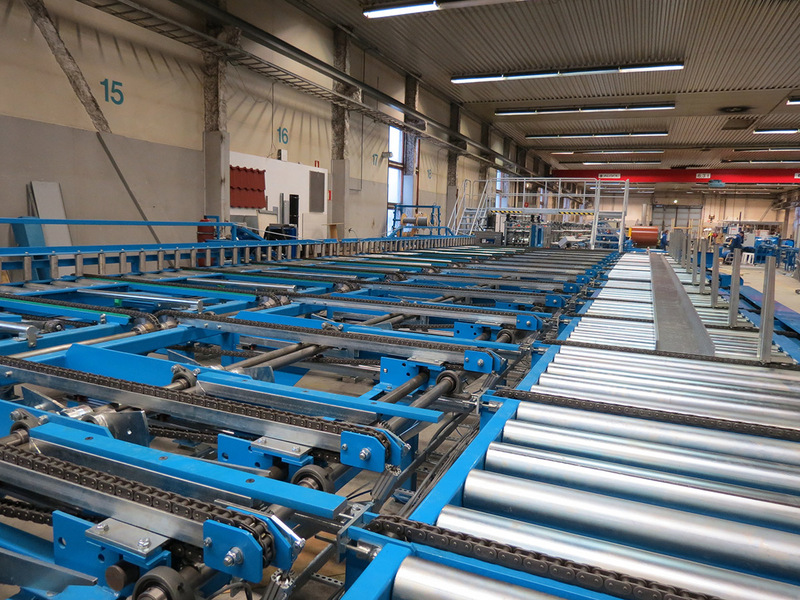 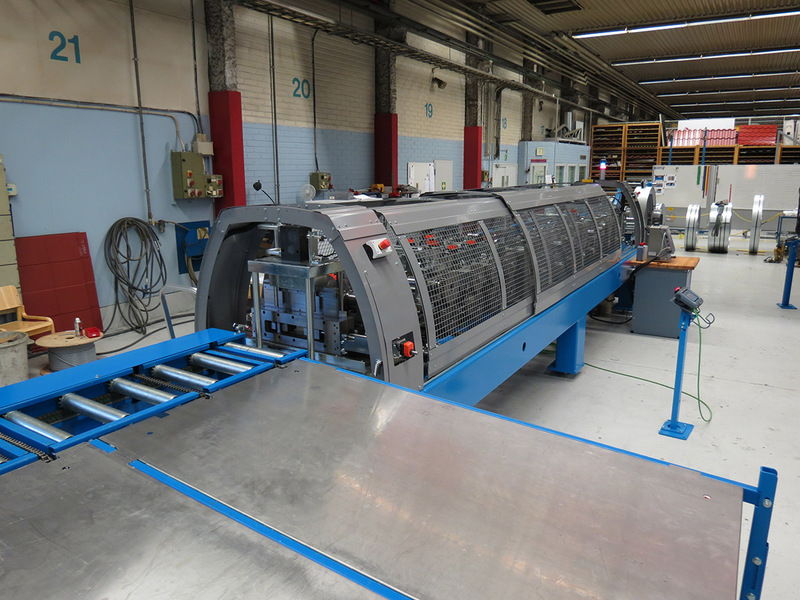 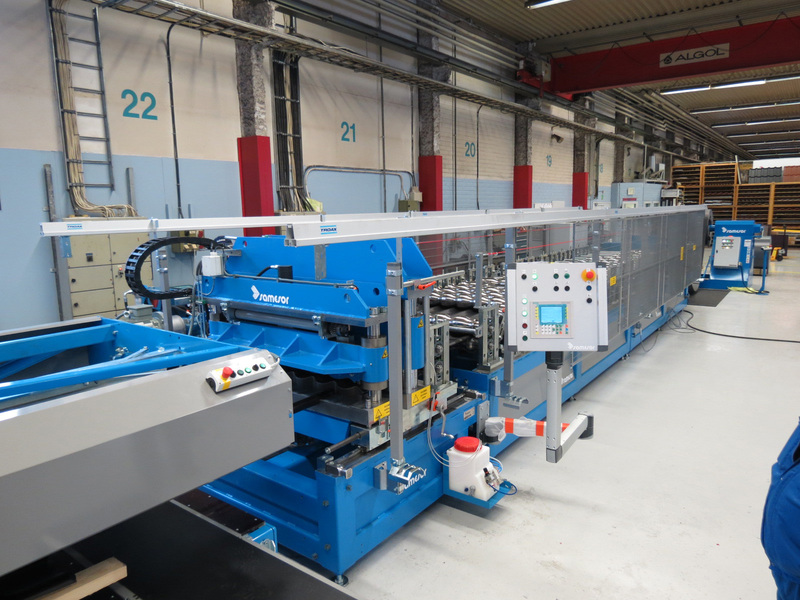 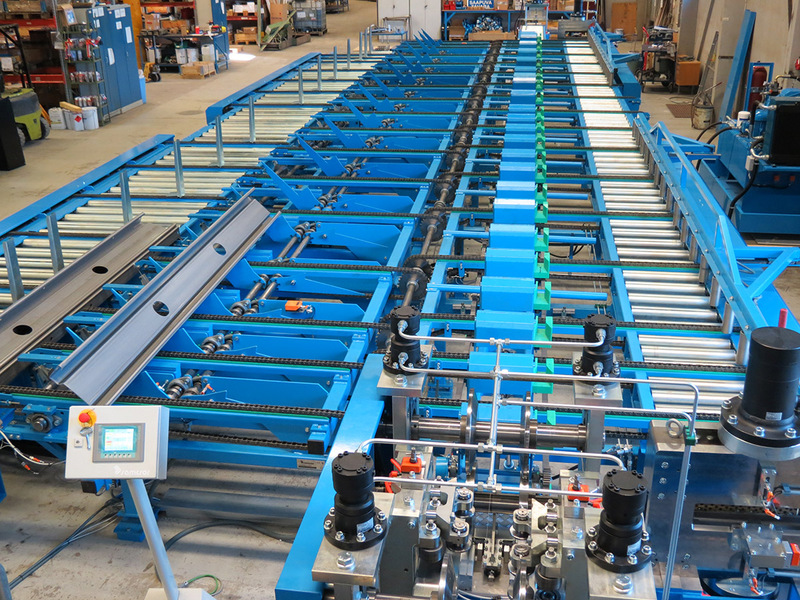 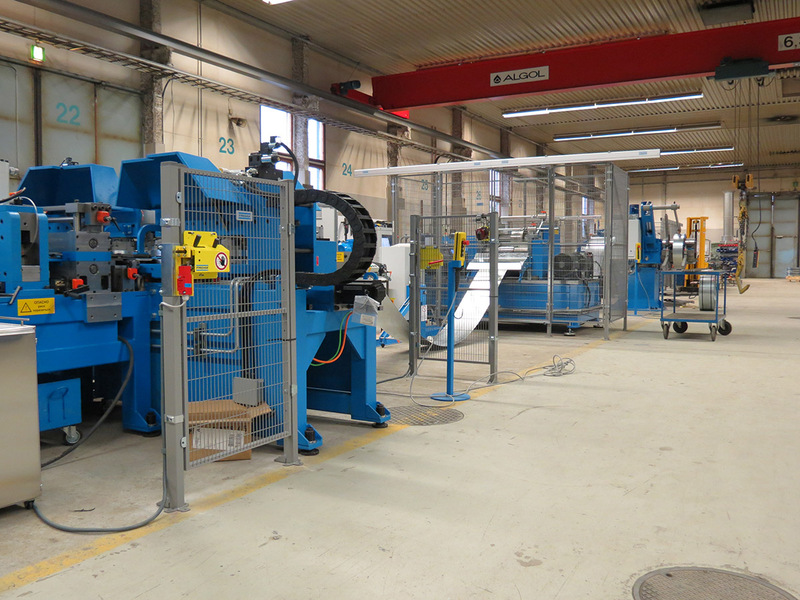 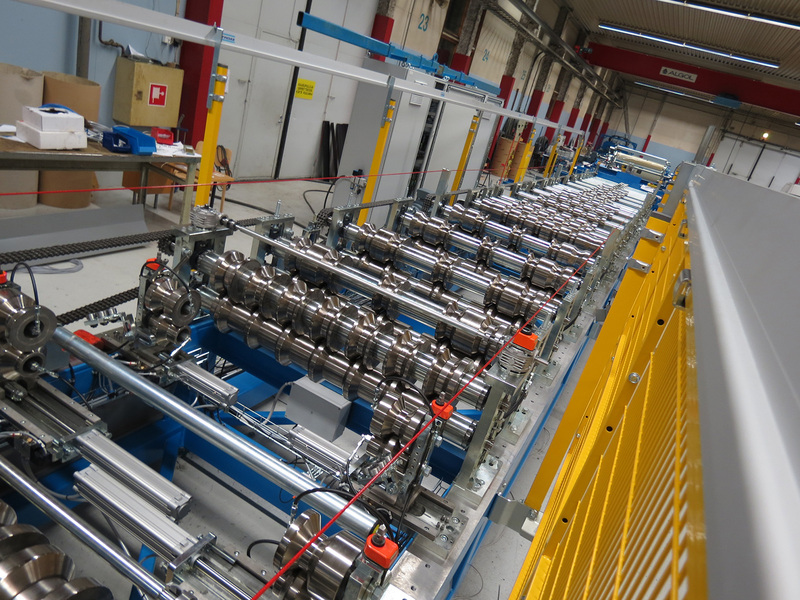 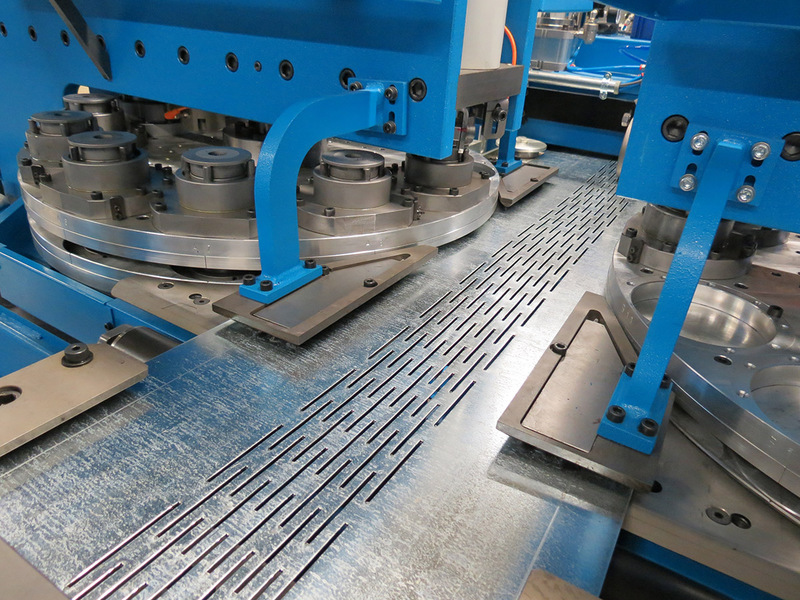 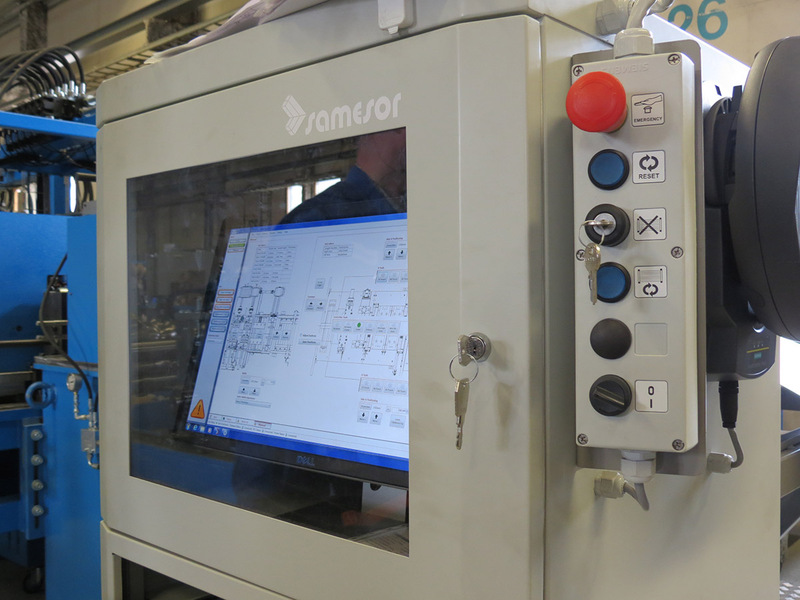 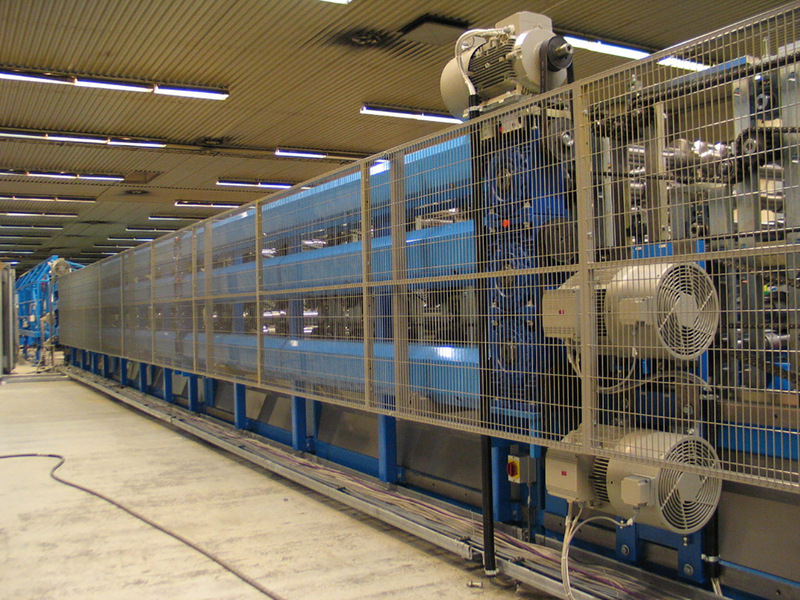 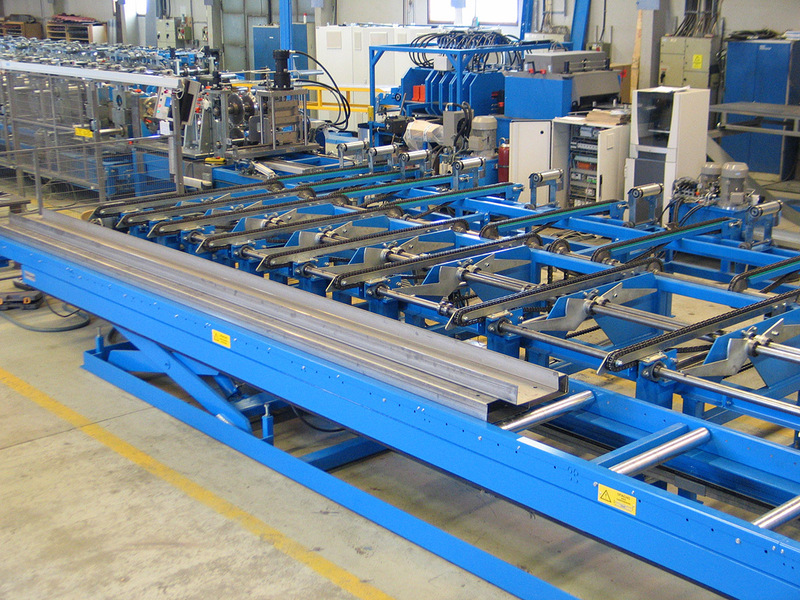 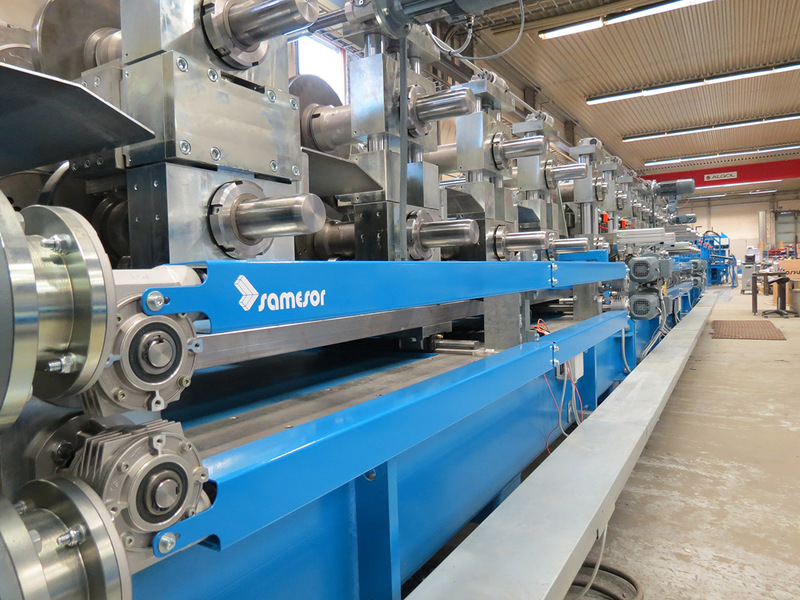 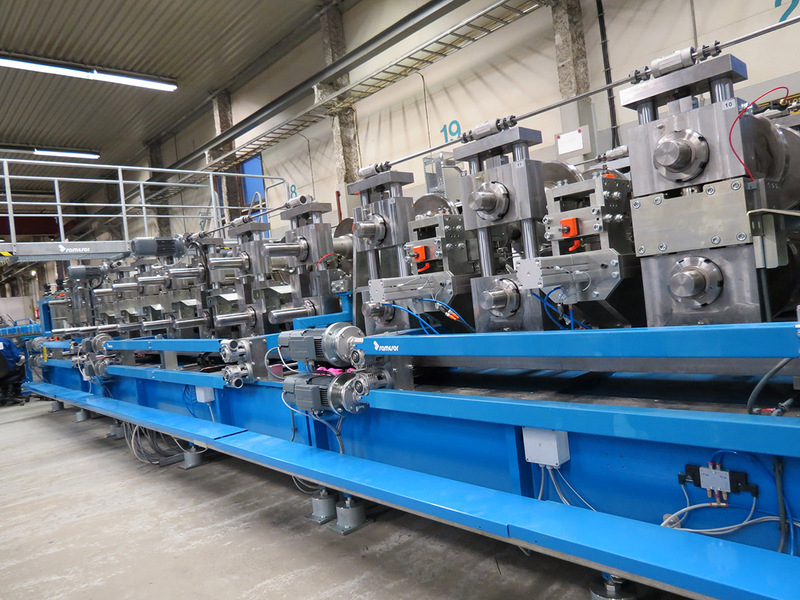 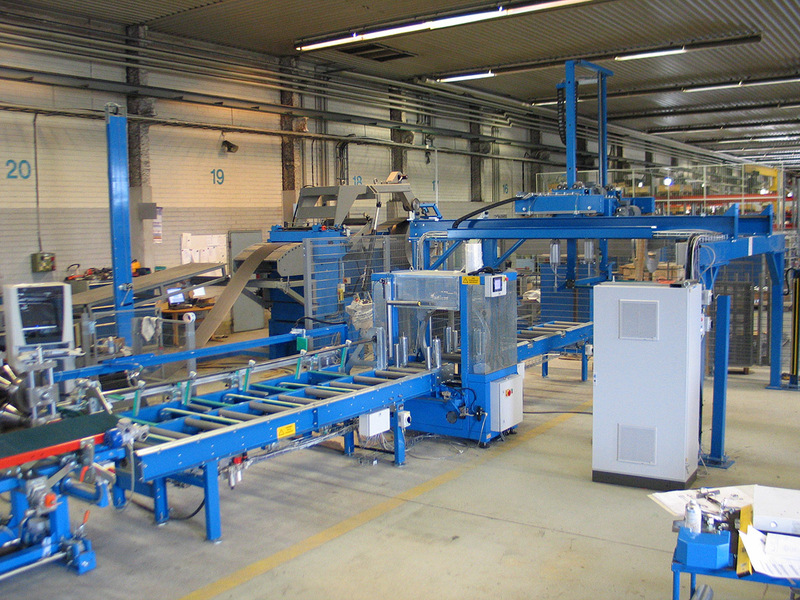 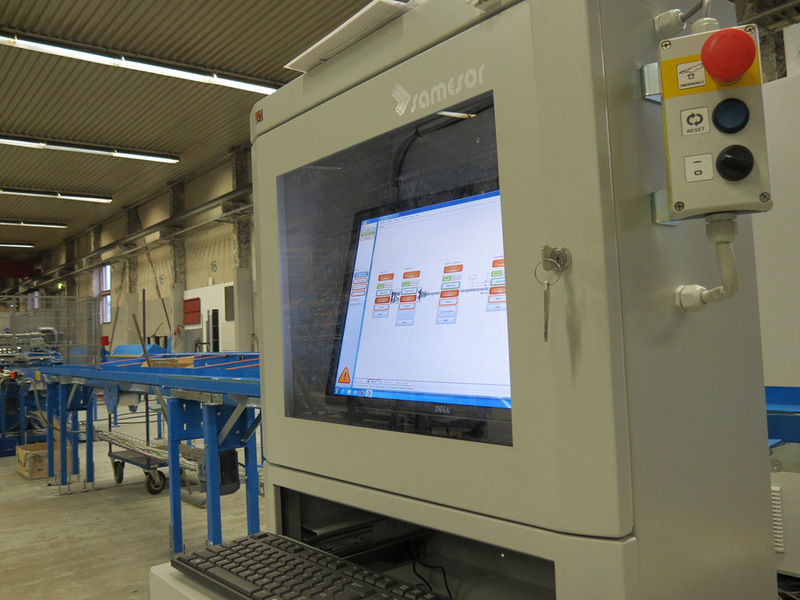 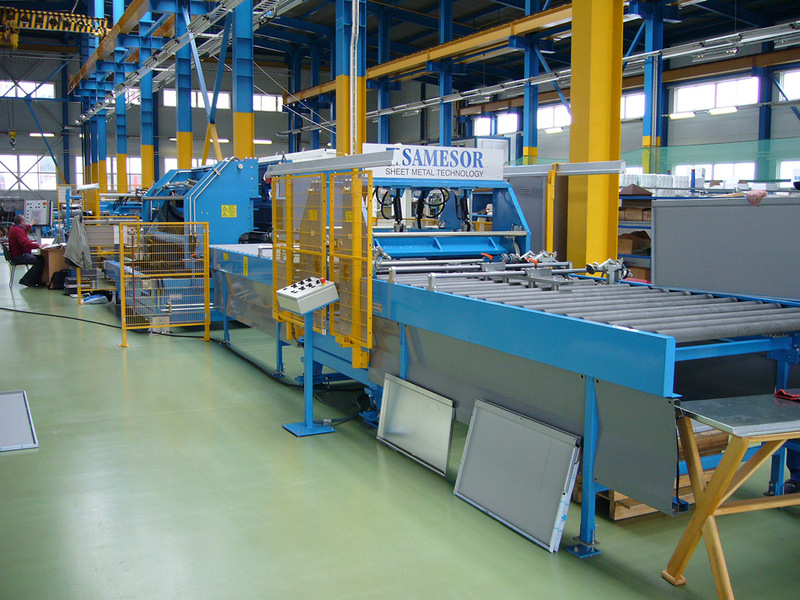 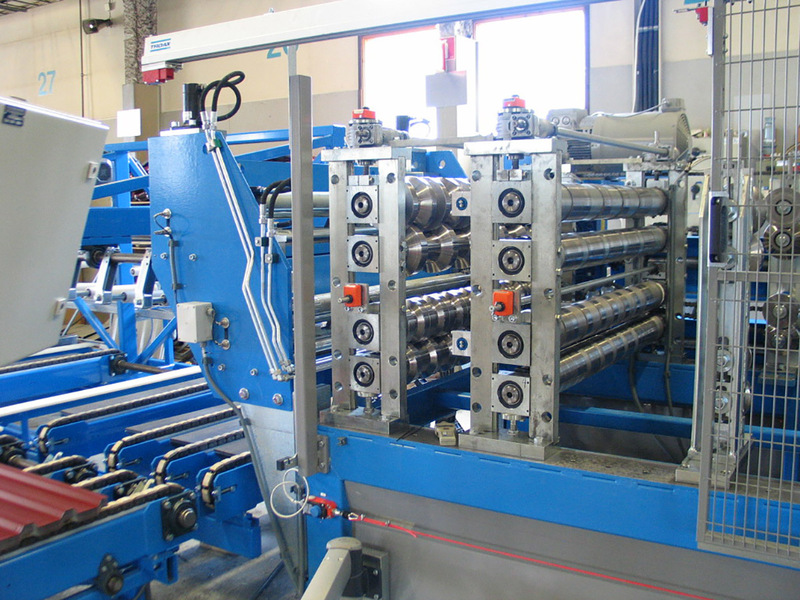 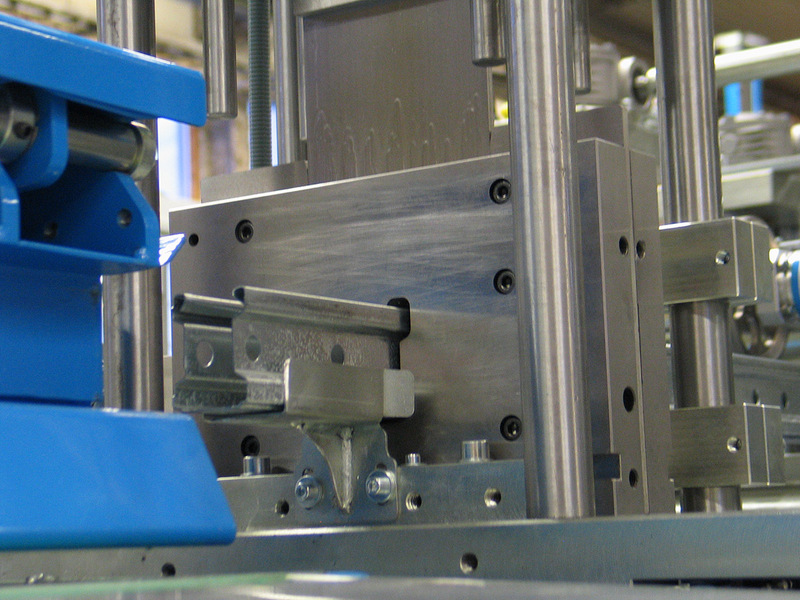 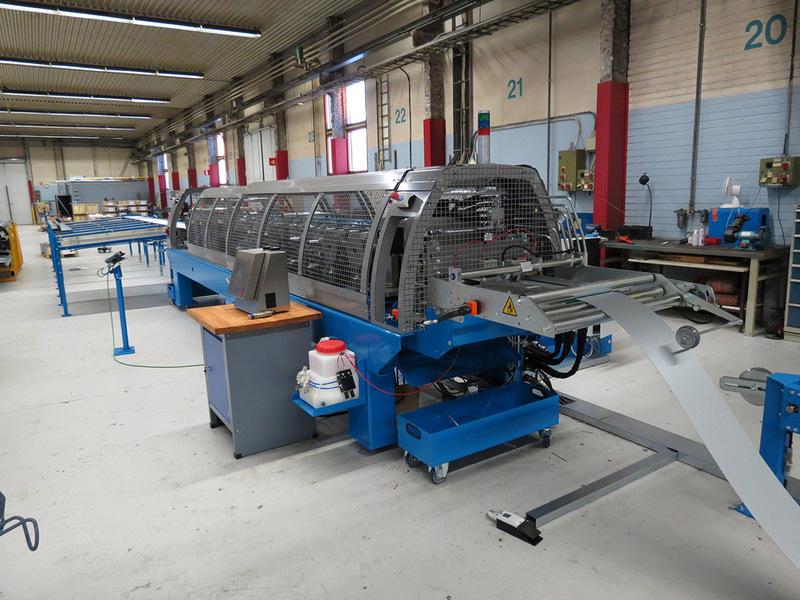 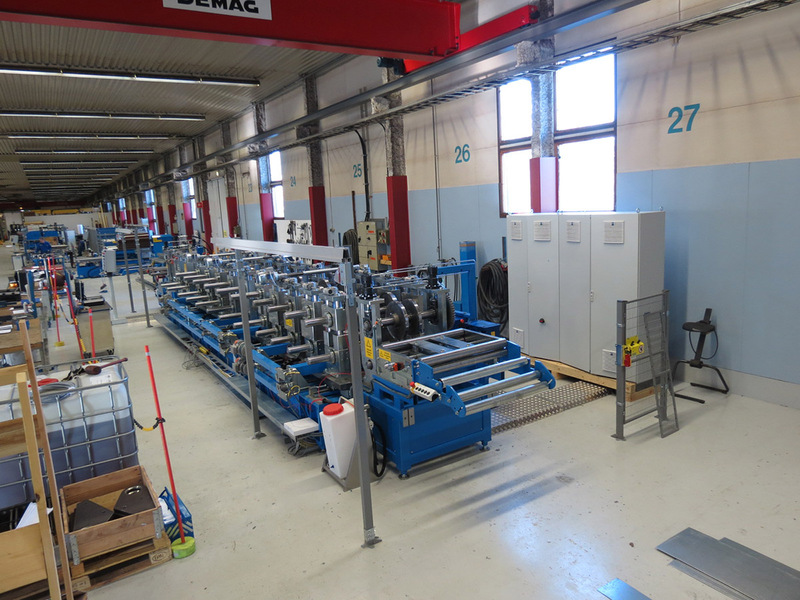 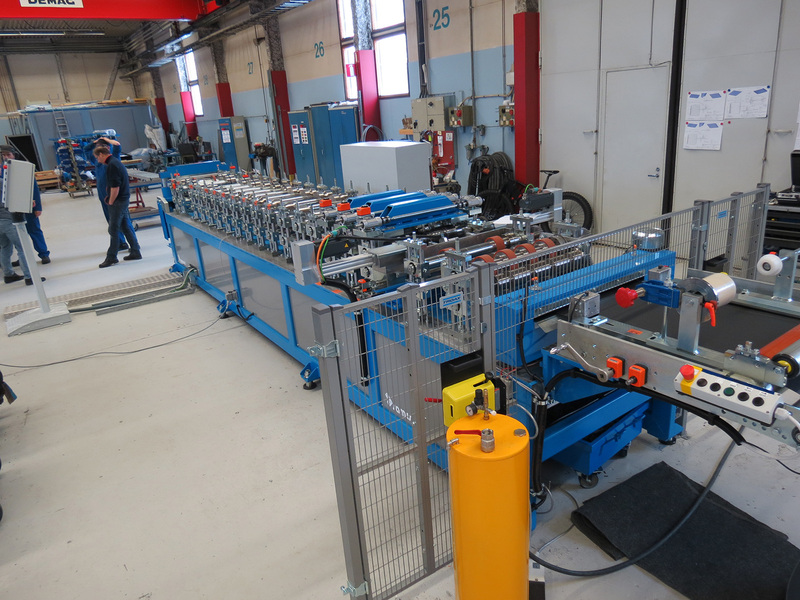 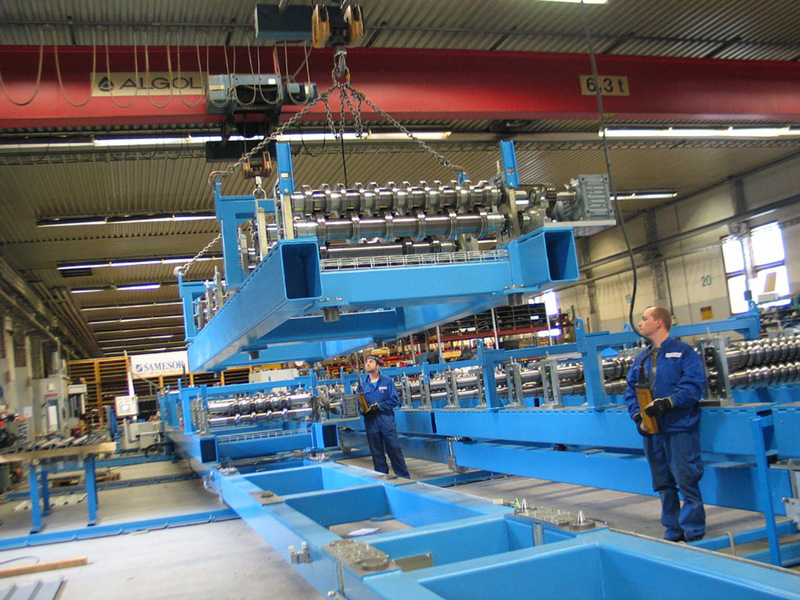 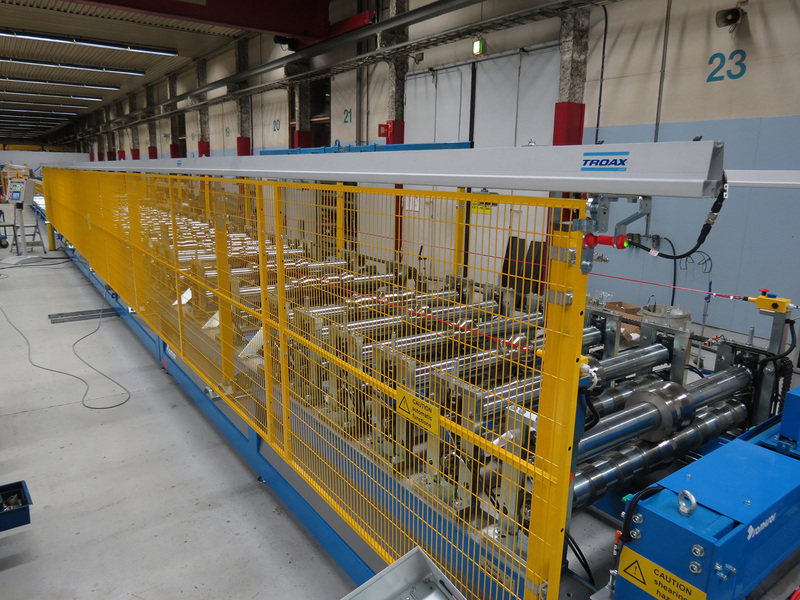 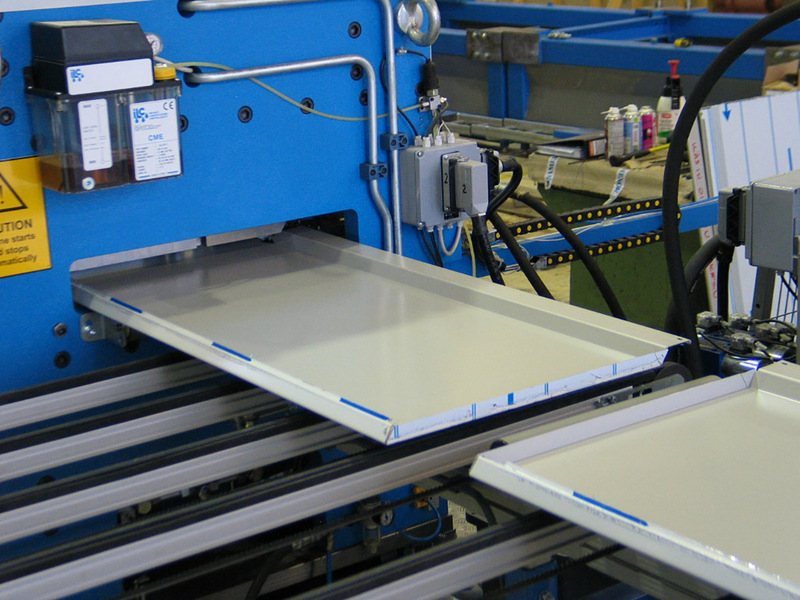 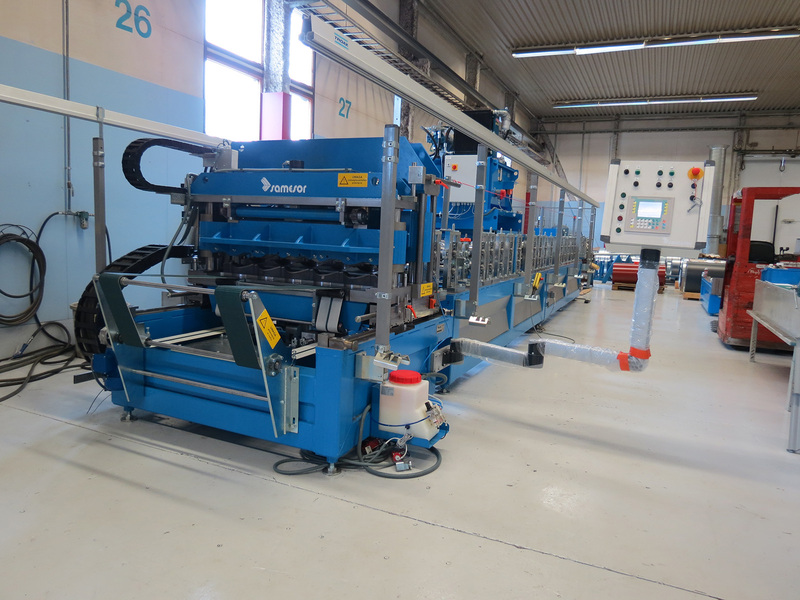 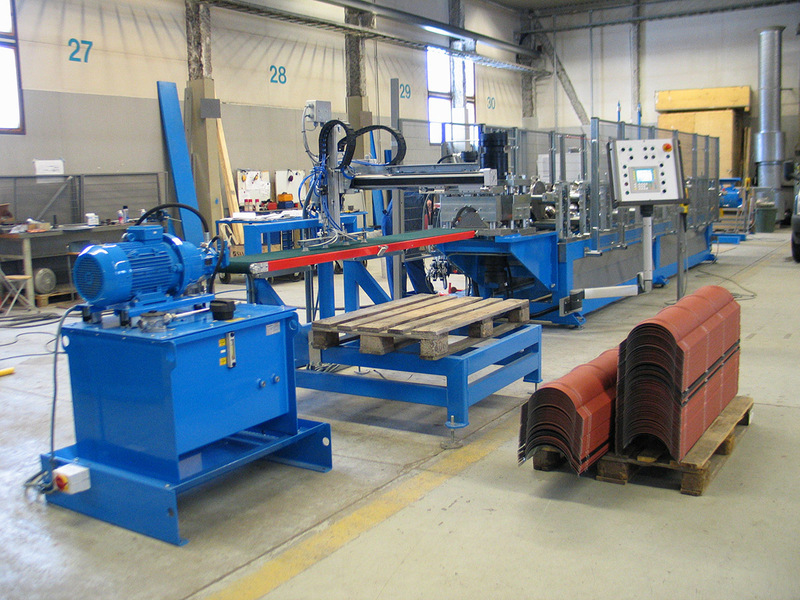 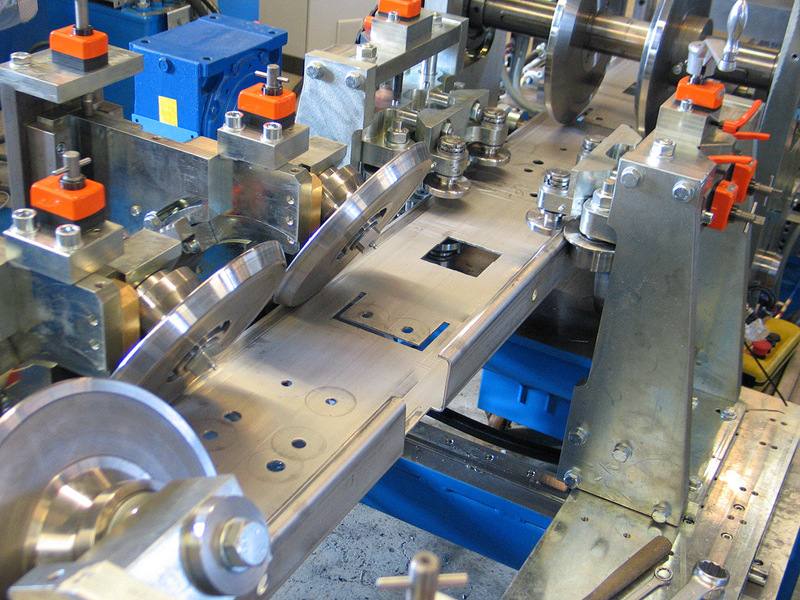 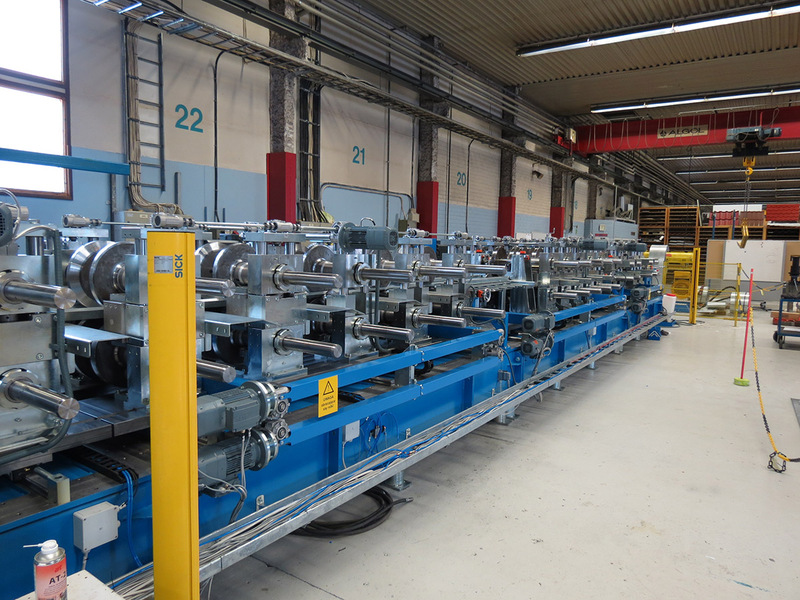 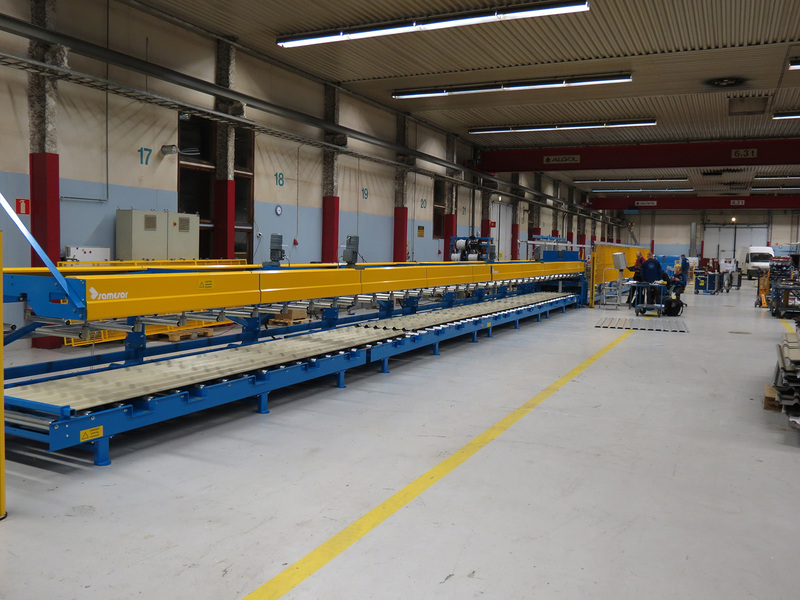 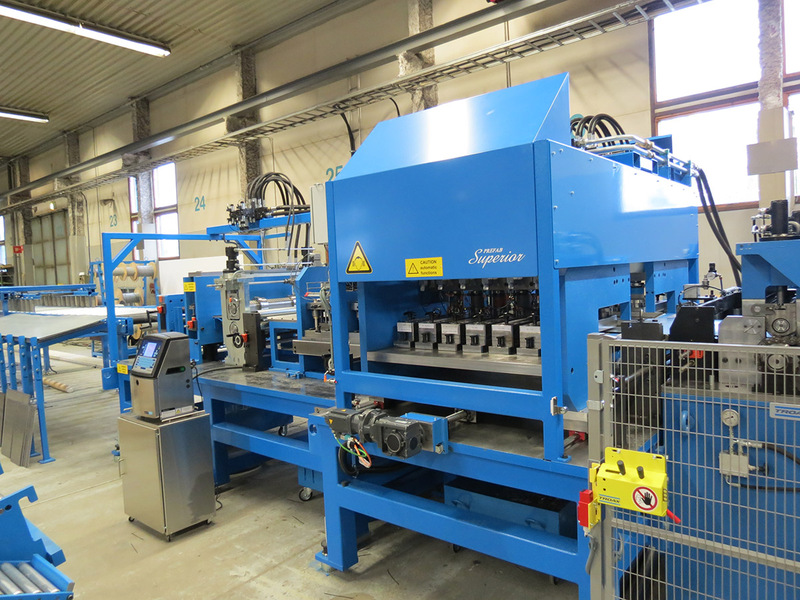 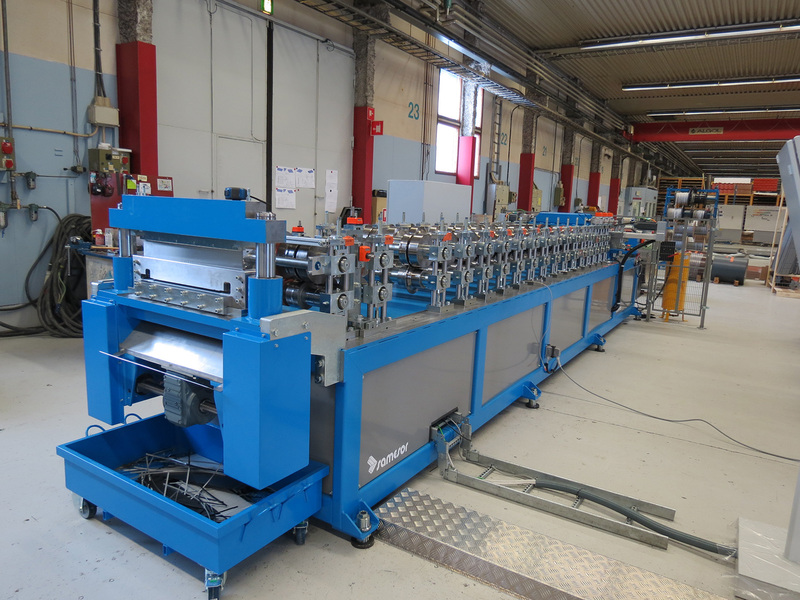 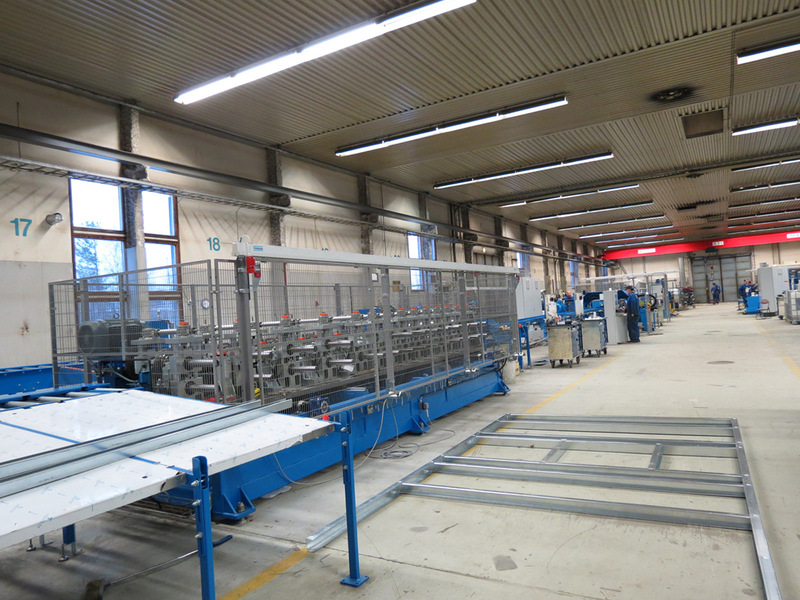 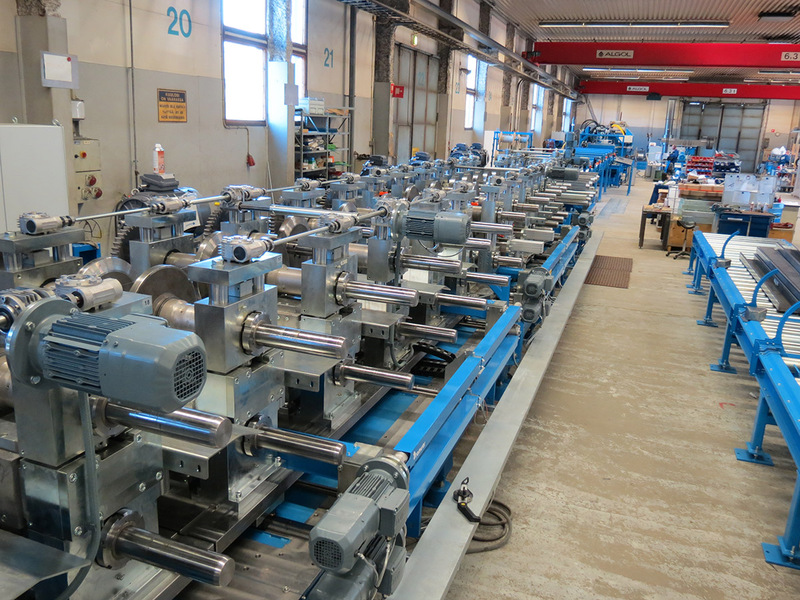 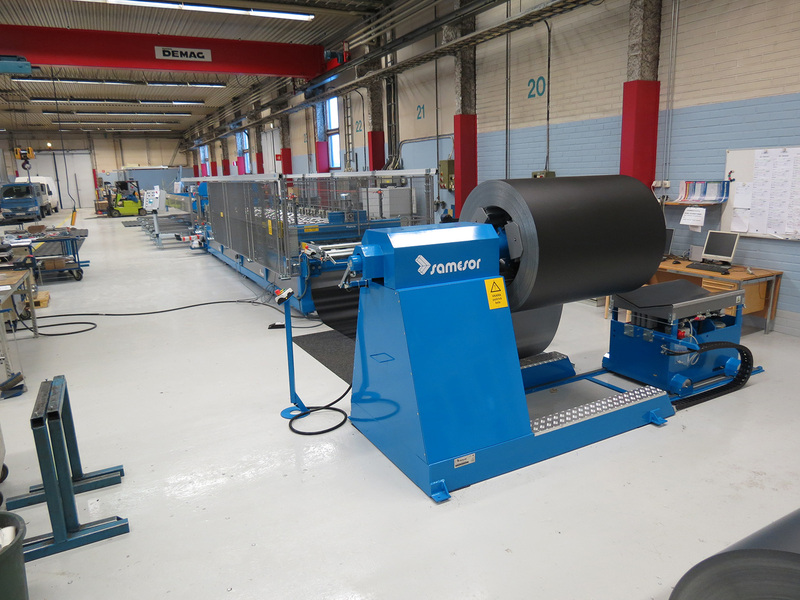 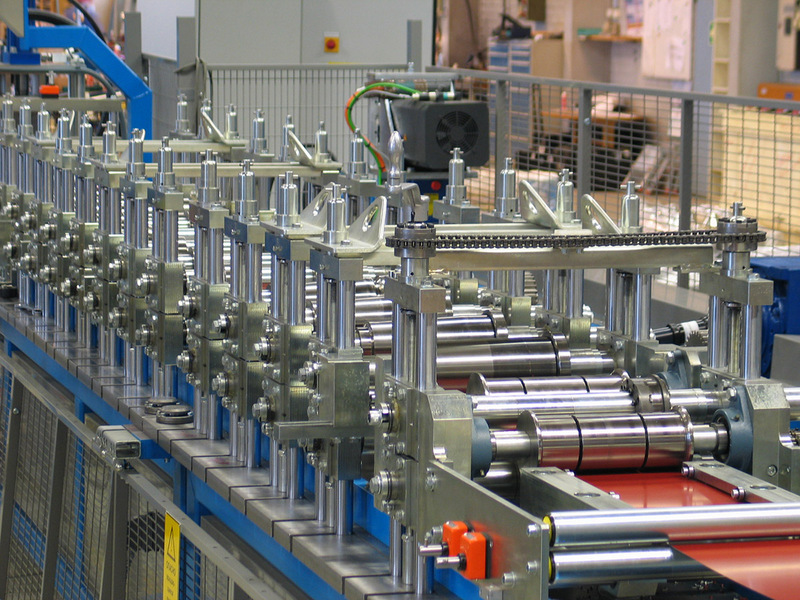 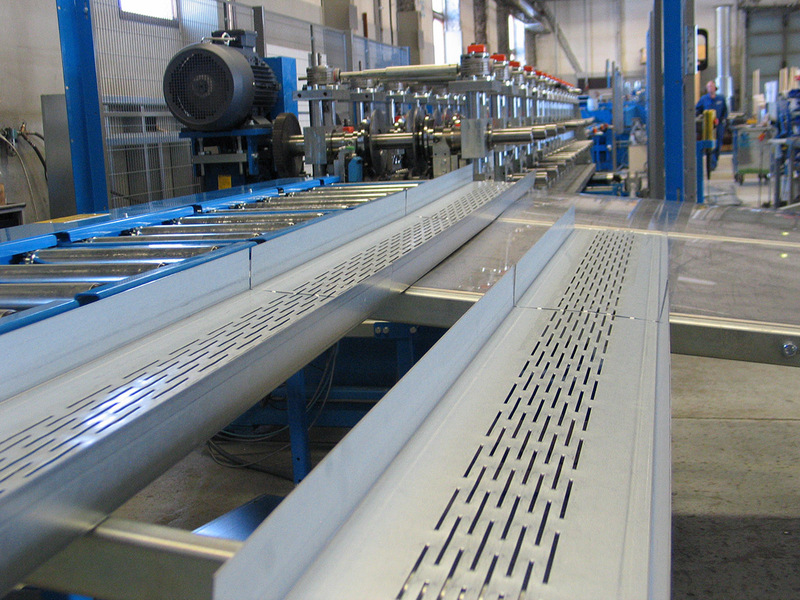 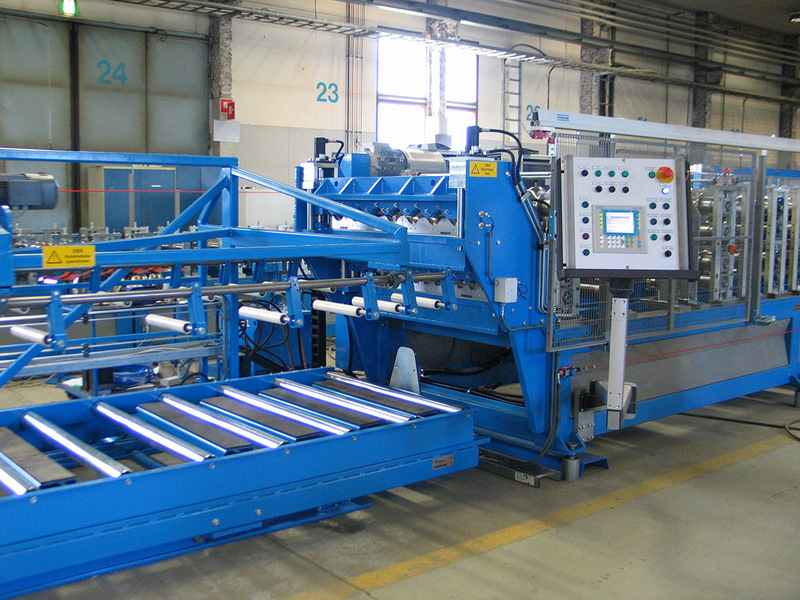 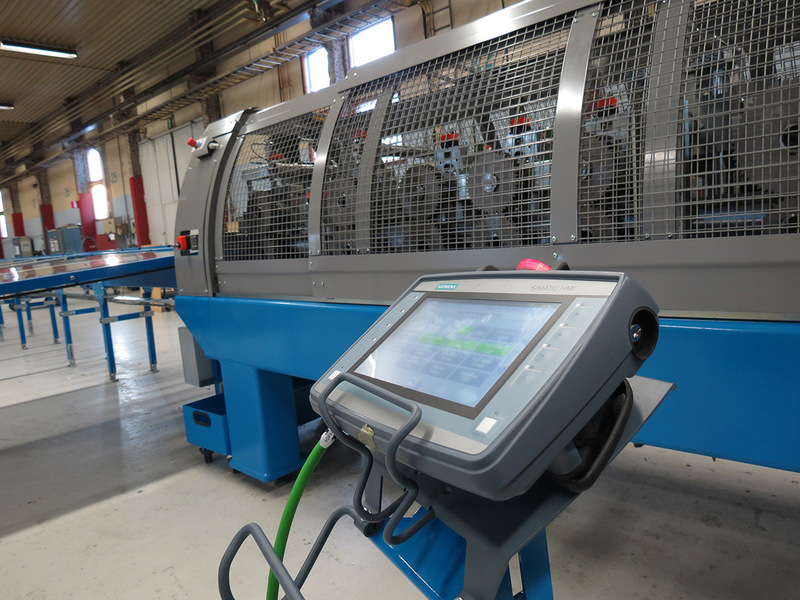 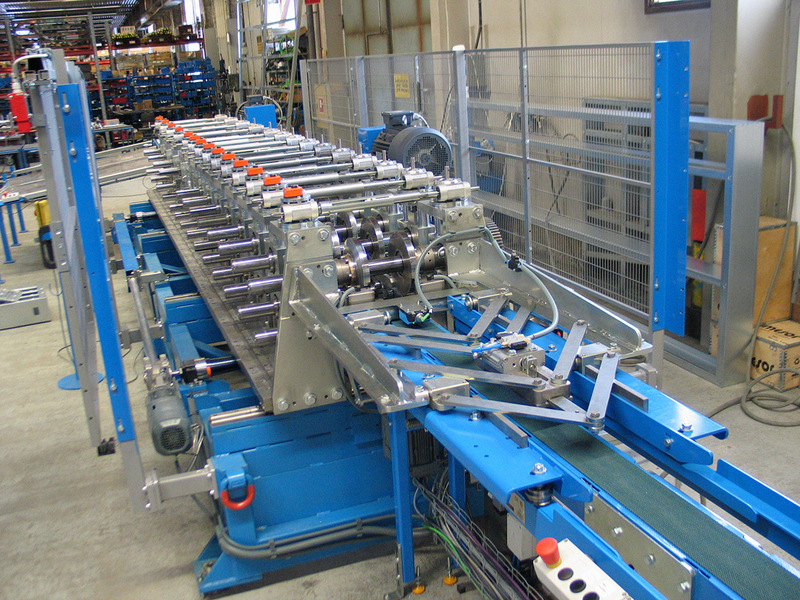 Samesor offers machines for producing high-quality facade cassettes or panels. 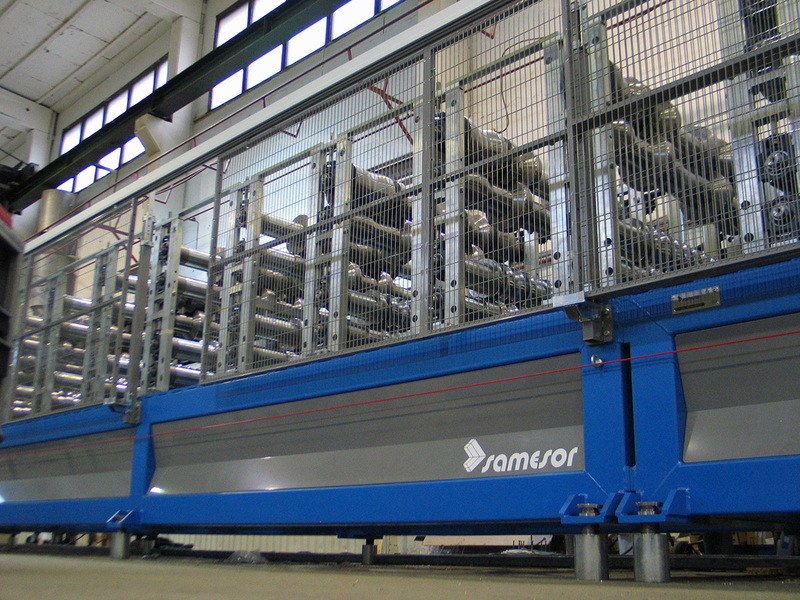 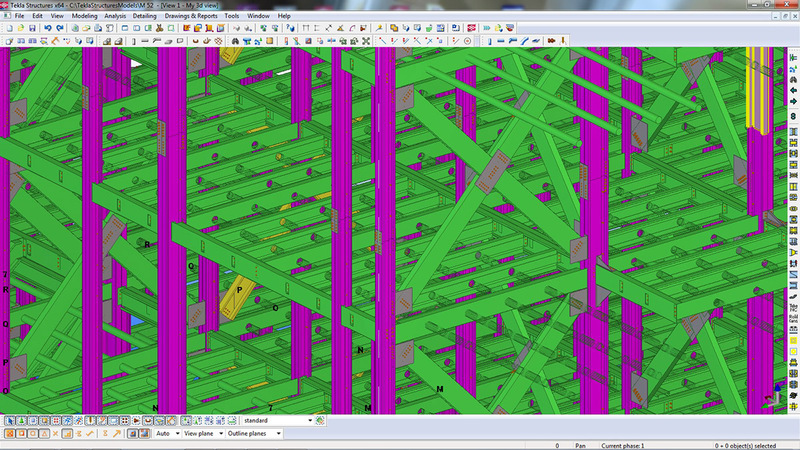 We also have a solution that can produce both from the same machine: Samesor MultiFacade. 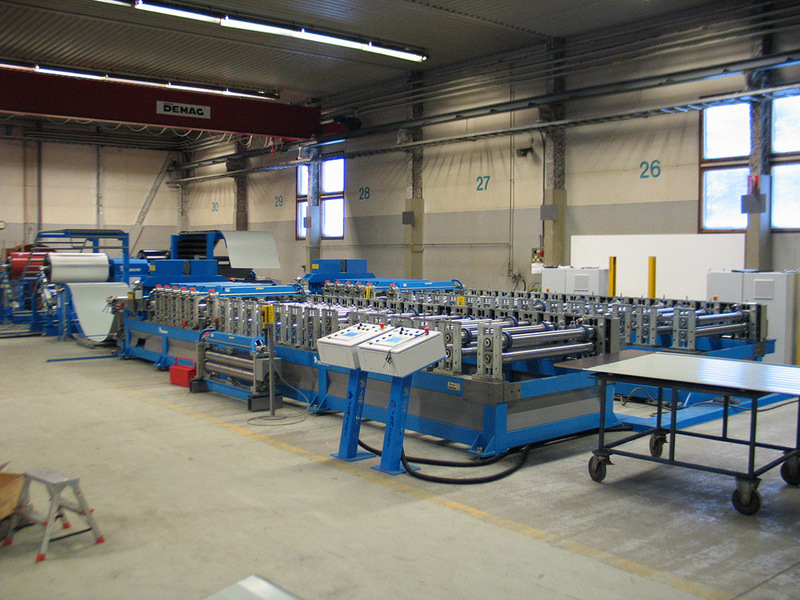 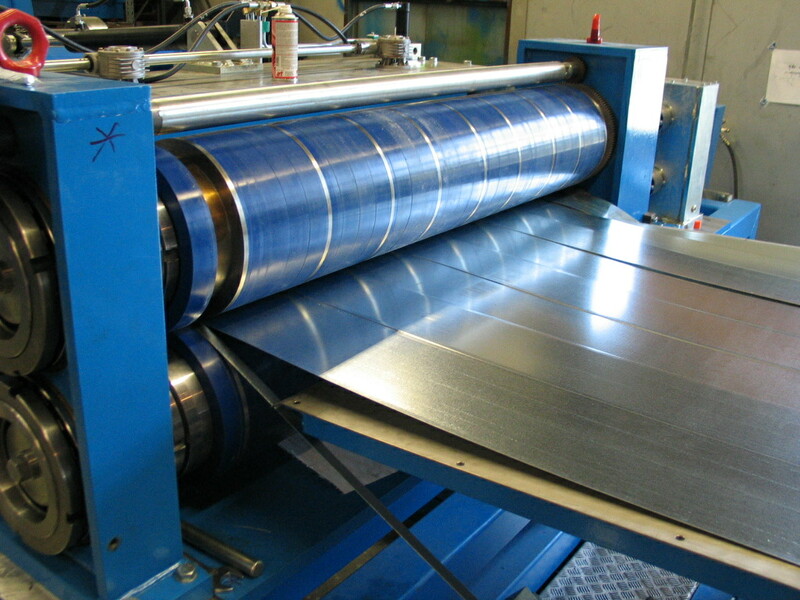 Machines for various flashings and strip profiles used with facades are also available. 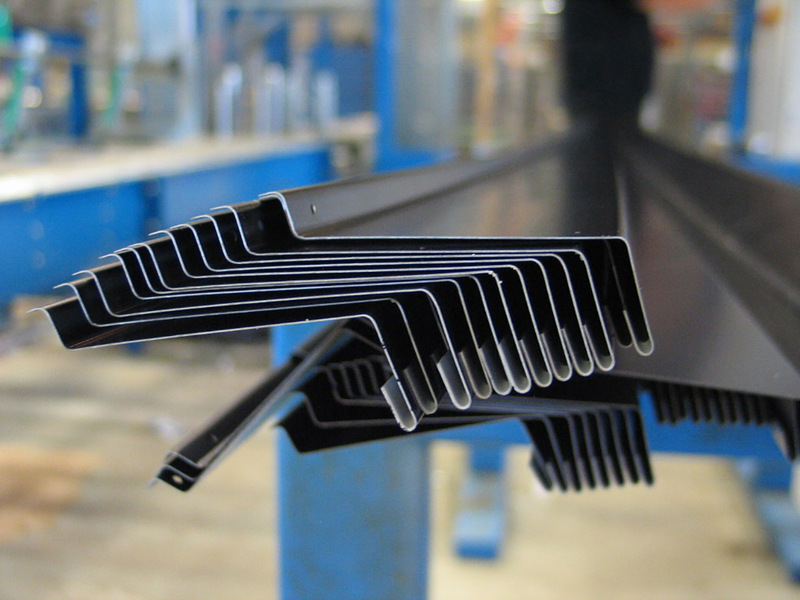 By continuously monitoring steel product trends and reacting to market opportunities, we can support our customers’ success in today’s highly competitive environment. 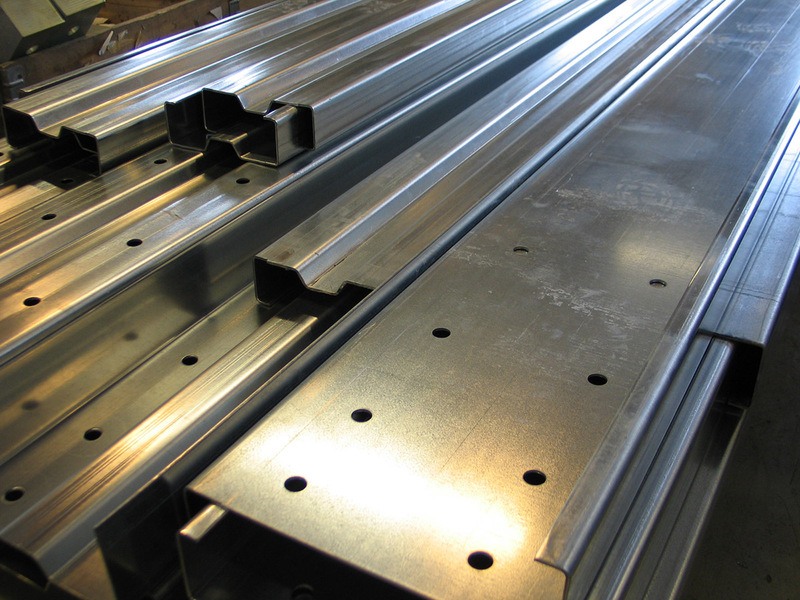 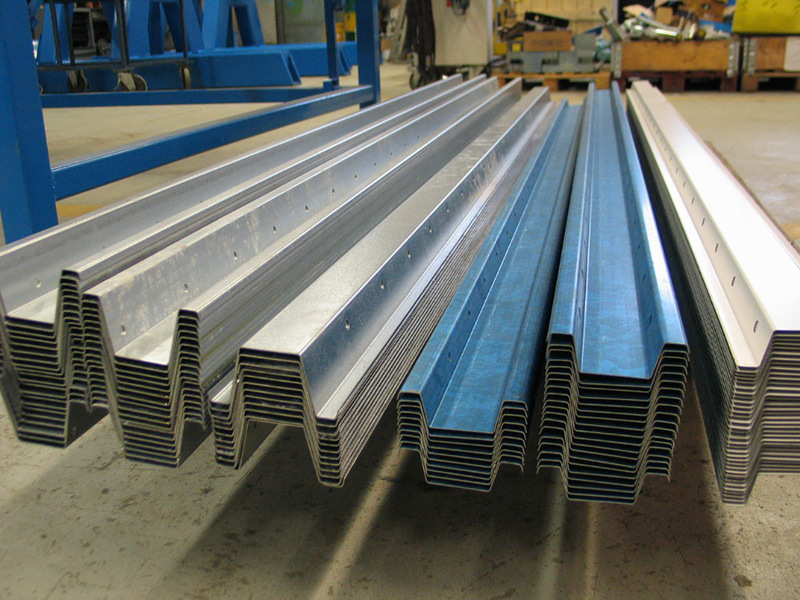 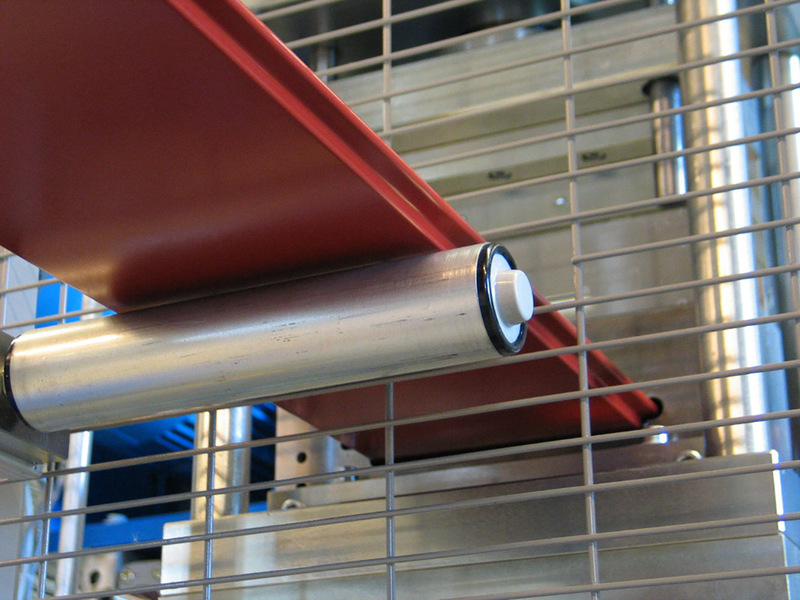 Need help in manufacturing your sheet metal products?